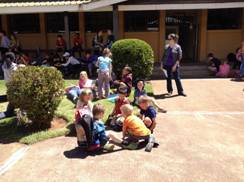 McAlhaneys on Mission | Join us through prayer! Water, water everywhere . 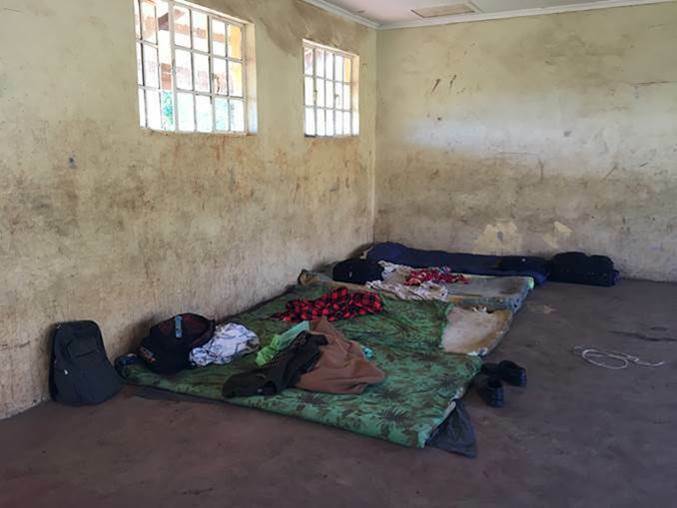 . .
We are often asked about our living conditions in Kijabe. What’s your house like? Do you have water? Do you have electricity? Is there internet? Is it cold? Is it hot? 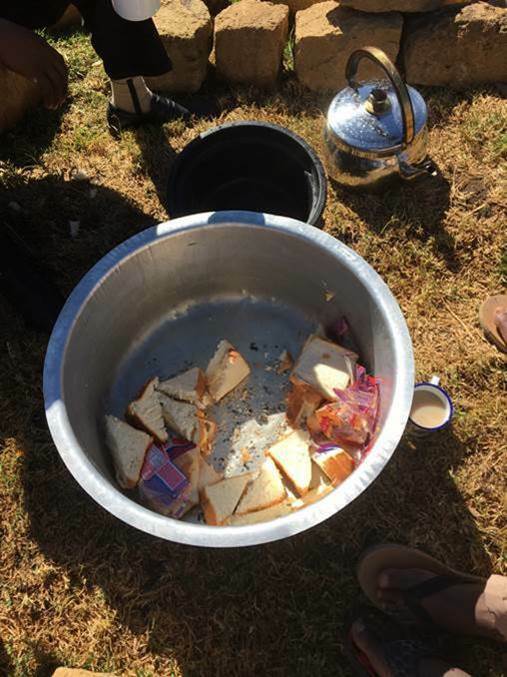 So, I thought I’d dedicate a blog posting to water and electricity with some random comments about our living conditions. We have a relatively nice house. Of course, there is no insulation or central heat/air conditioning and the windows don’t exactly seal. 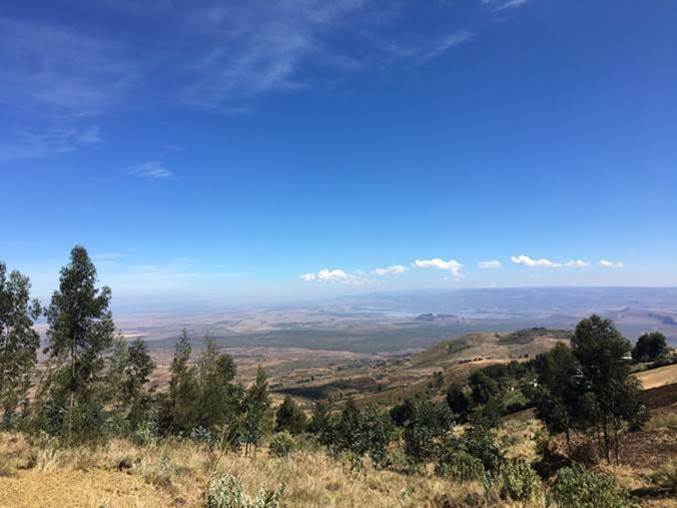 The temperature in Kijabe ranges from the mid-60s to mid-80s Fahrenheit during the day and upper 30s to 60s at night. We live in the southern hemisphere, so winter is June to August and summer January to February. For the most part, the temperature outside is reflected in the house. Kijabe is a Maasai word which means place of wind, so it can be very windy – especially at night. We do have water – most of the time. Water pressure and cleanliness vary greatly and you definitely shouldn’t drink it out of the tap unless you enjoy gastrointestinal issues. 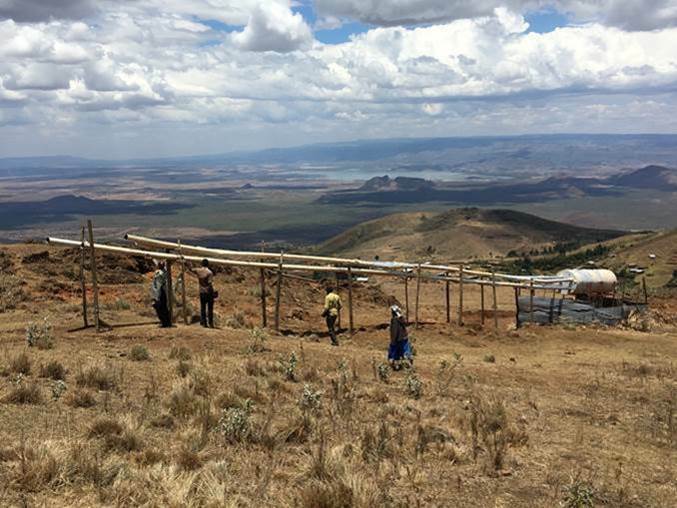 The water system in Kijabe is quite complicated with springs and water storage tanks. 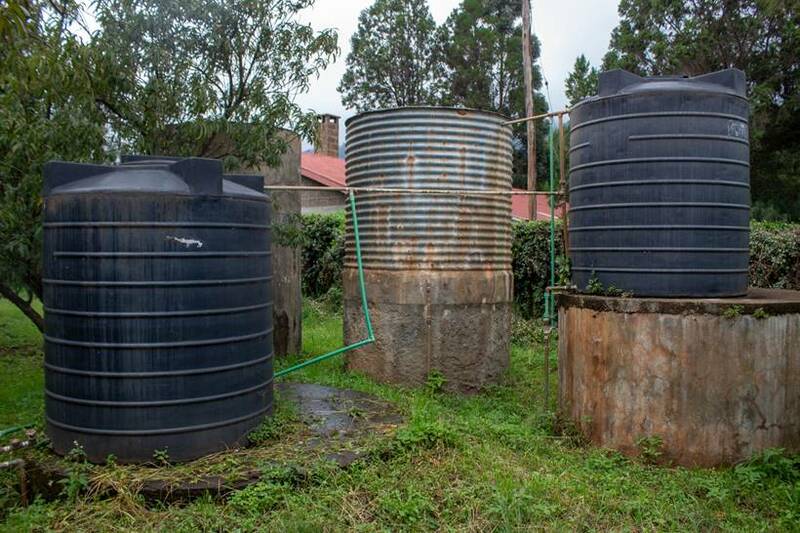 Suffice it to say that water comes from various springs into Kijabe and is shared among the institutions and houses. I use the word “springs” loosely – picture something more like a collection of rain water in a pond. These springs often run dry during the dry seasons. Therefore, all institutions have large holding tanks to provide several days of water for those times when none is coming. We live in Moffat Bible College housing and Moffat has five large plastics tanks (two recently added) and one large concrete tank up the hill a bit to provide adequate pressure. The five large tanks in this photo are the Moffat reserve tanks. 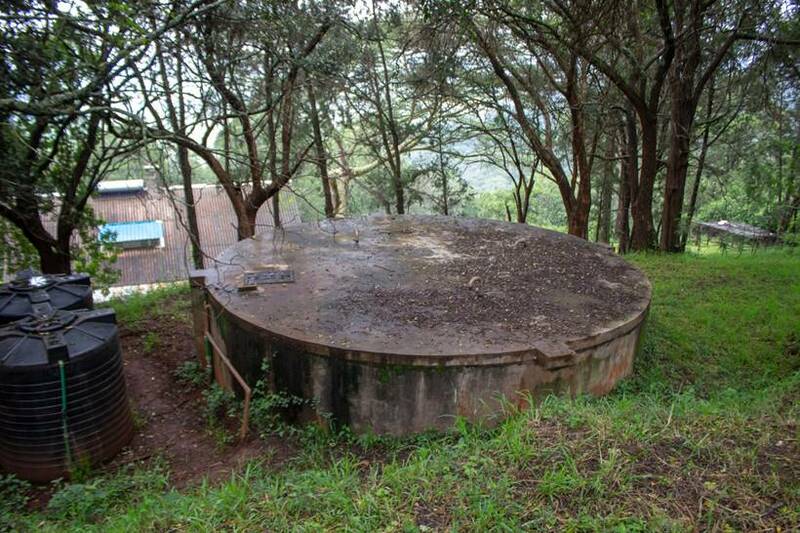 This is the Moffat concrete tank – the majority of the tanks is underground. 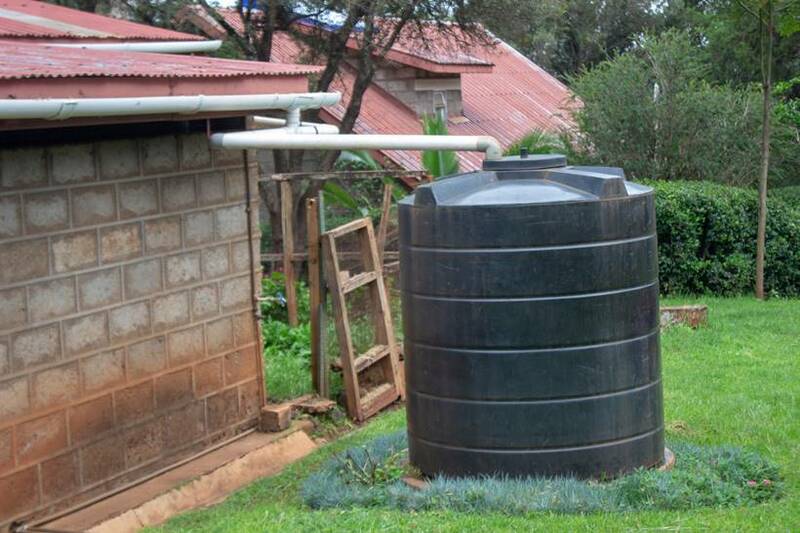 Many houses and building also have gutters and tanks to collect rain water. This is our rain water tank. It’s good for backup water if necessary and for watering our shamba (garden). 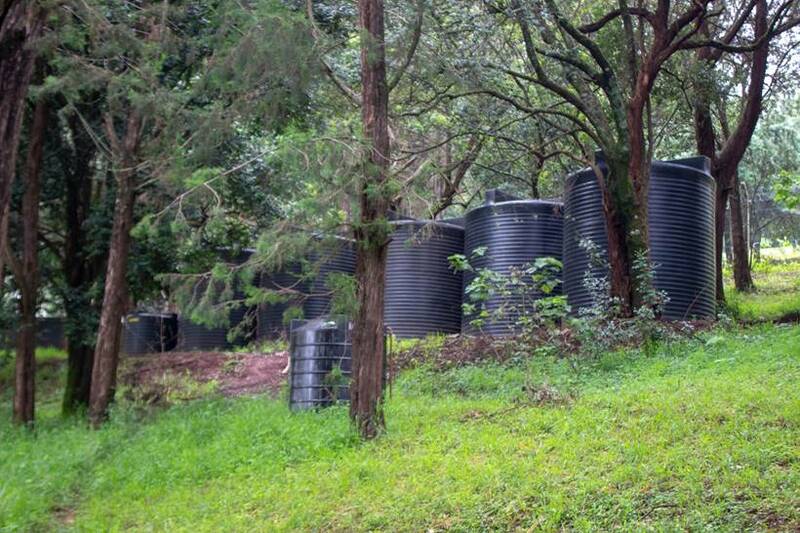 Many houses have smaller tanks which also provide a few days of backup. We have a smaller tank (pictured above on the far right) and can stretch it out to about three days if necessary. Stretching means quick showers and flushing only when necessary. 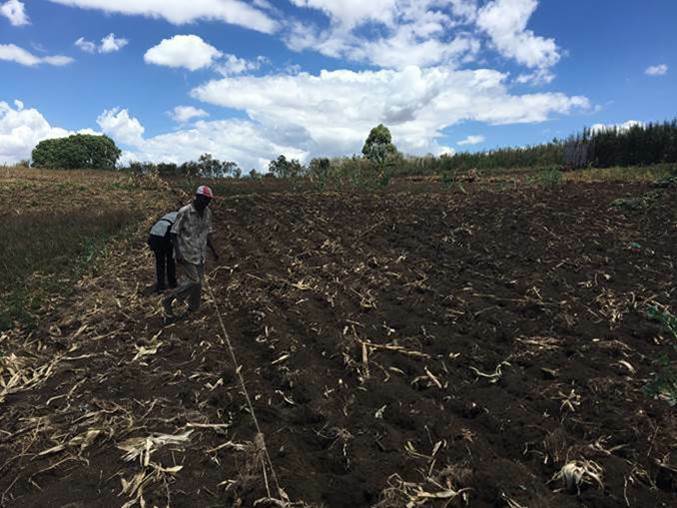 Kenya has two rainy seasons – October/November and March/April – although the rains typically come when they come . . . not exactly adhering to the calendar expectations. 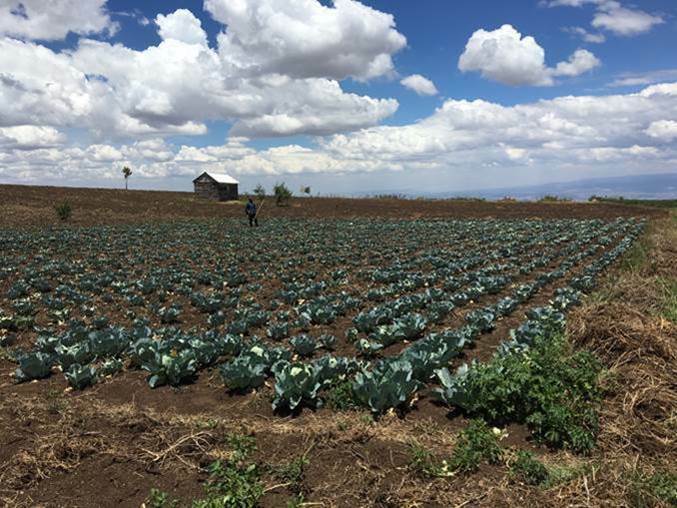 Over the last few years we’ve often found ourselves in drought and have simply had to conserve. During rainy season, the famous phrase “Water, water everywhere, Nor any drop to drink” from “The Rime of the Ancient Mariner,” by Samuel Taylor Coleridge often comes to mind. No, we’re not stranded in the middle of the ocean with only salt water in sight, but we often find ourselves inundated with rain but no water in the pipes. Typically, the issue comes from dirt in the pipes from the springs which cause blockages and then broken pipes. During the dry seasons or drought, pipes from the springs are often cut and the pipes/water stolen. In other words, water is always an issue in Kijabe. As I noted before, you can’t drink the water out of the tap. 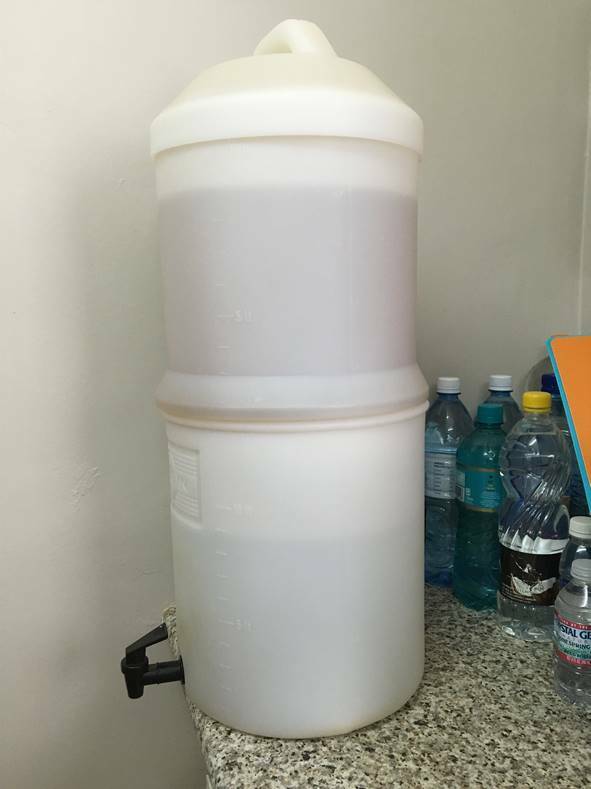 Our Katadyn filter is a lifeline for clean water and well worth the $300 investment. 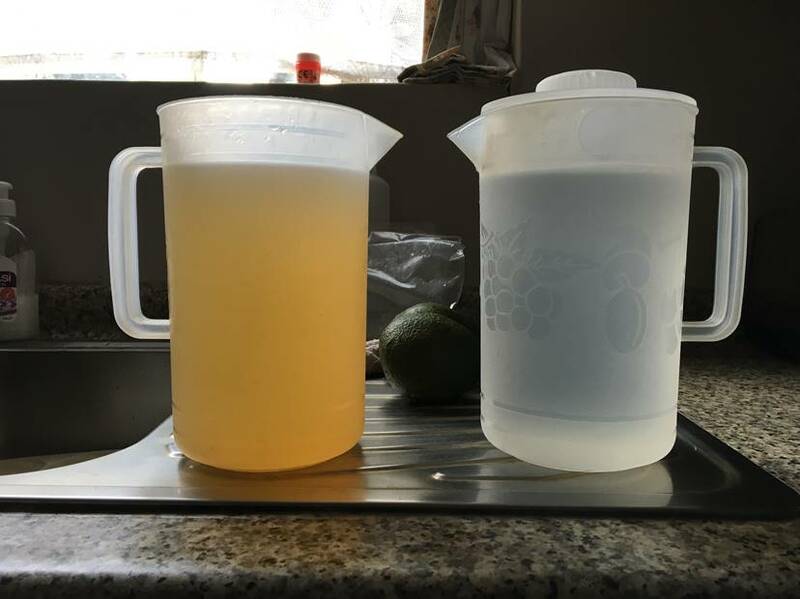 The pitcher on the left is out of the tap and the one on the right is water run through the Katadyn. We simply pour water in the top compartment of the filter and gravity does the rest. 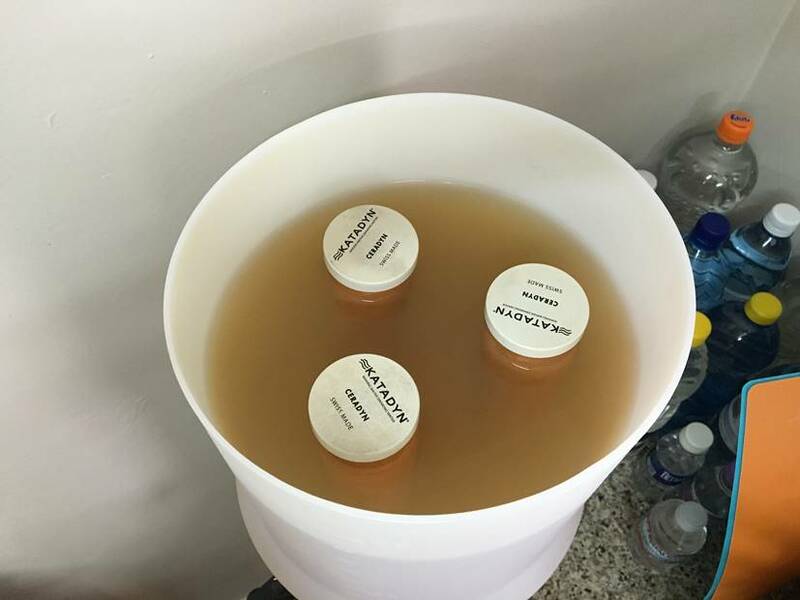 You just need to make sure that there is adequate space in the bottom clean water compartment when adding dirty water to the top compartment when leaving overnight (i.e. it can overflow). In the morning my routine is to fill the top compartment so that we have water in the morning. We also add water as needed throughout the day. As you can see in the background, we also keep numerous 1 liter bottles in reserve. The Katadyn has three ceradyn filters which are porous. The water slowly seeps into the filters and drips into the clean water compartment at the bottom. It’s not instantaneous but very functional. It filters out bacteria, protozoa, and most viruses. When we moved into this house in July of 2014 there was an electric water heater. However, it sprung a leak about a year later and we had it removed. It had been piped into the bathrooms but never the kitchen. 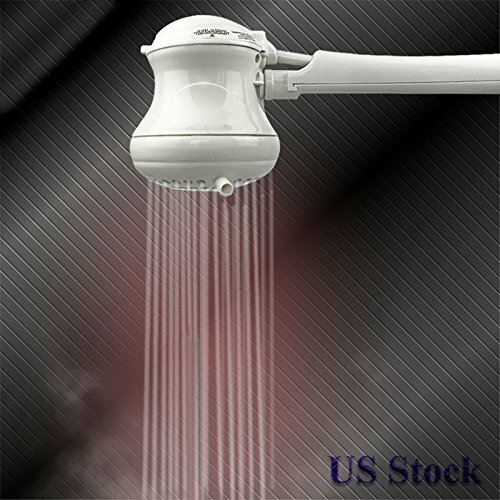 We did have a fall back for showering, though – what many of us affectionately call the widow maker (the photo below is similar to what we use). Just imagine 220 volts just above your head – hence the nickname. When we first moved into the house, I (Tim) accidently touched the instant shower head while taking a shower. The tingle I felt in my feet told me something was wrong! I called my trusty electrician and he double grounded the shower head. 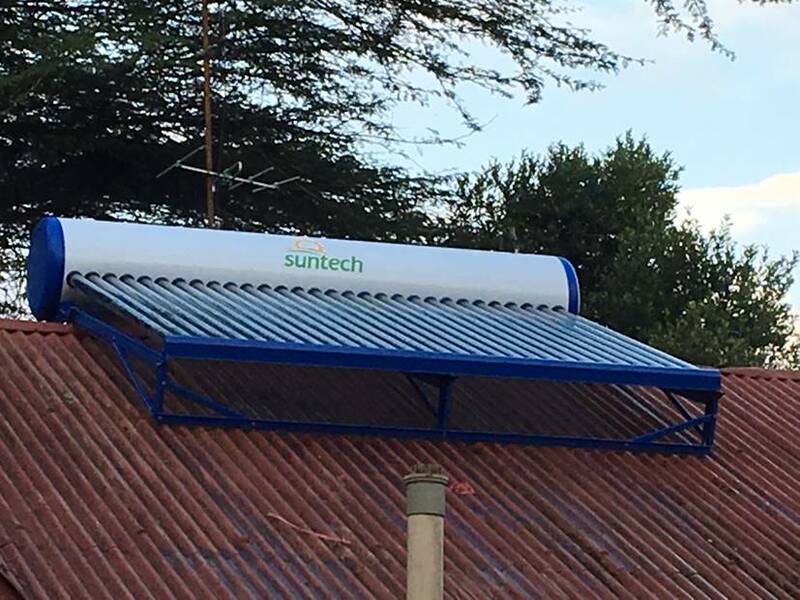 Eventually, we opted to install a solar water heater (pictured below) and piped the hot water into the kitchen as well . . . but we still use the widow maker when needed. Yes, that is our roof and our solar heater. Yes, that is a TV antennae but we don’t pick up anything! The solar heater was a small investment but the electricity saved sold us on the technology. Basically, water flows into the glass tubes, heats under the sun, and then flows into the tank. The tank also has a heating element if necessary – something we do use during winter when the sun is less intense. Currently, Kenya is in the middle of the long rains which began in March. Typically, these rains would last about a month but are still going on. 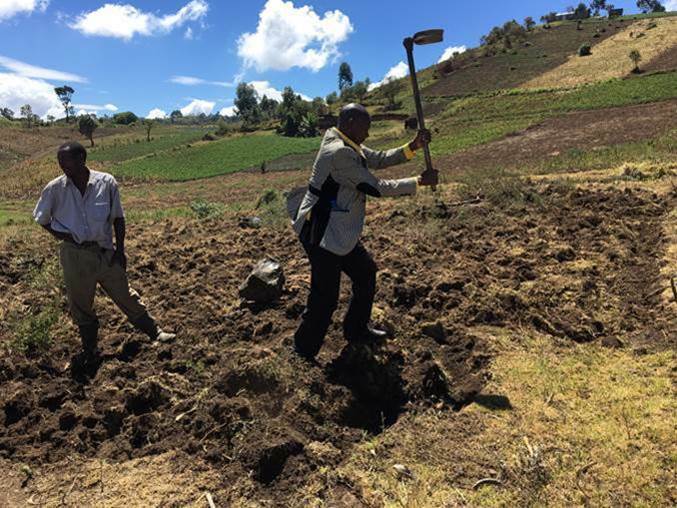 A friend in Kijabe posted on FB that from Feb 28th to May 14th, a total of 76 days that it had rained 63 days. And the rains continue. This has caused a great deal of flooding, mudslides, and loss of life, crops, livestock, and property. Below is a photo of a professor from Scott University as he attempted to cross a flooded street. I’m told he and his driver got out safely. Electricity is very inconsistent throughout the country. Cities like Nairobi are much better but you could still expect to be without power often. We are blessed in Kijabe to be near two hospitals which need electricity and have large generators to supply power when needed. 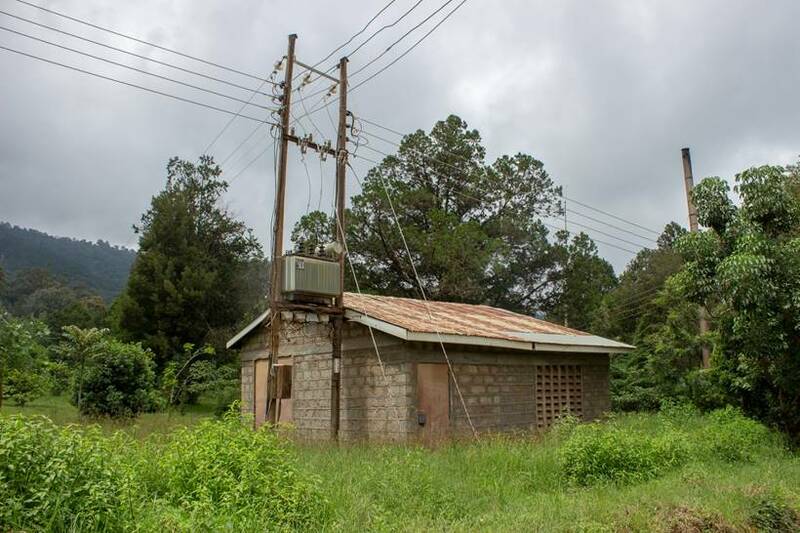 Moffat is tied into the Cure Hospital generator (generator building pictured below) and we have power 90 to 95 percent of the time. If national power goes out, we wait about seven seconds and the generator kicks in. When national power comes back, the lights blink as the generator shuts down. On occasion we get cut off for a day or so for some sort of maintenance or if the hospital is low in fuel. At the beginning of April we were in upstate South Carolina visiting some good friends who had served in Kijabe. As we ate the continental breakfast at the hotel one morning, the power went out and none of us blinked. We just kept eating and talking. Other hotel guests started to become a bit agitated . . . as did the hotel employees. One of us eventually commented on the fact that we had clearly been conditioned by our time in Kijabe. It’s amazing what you simply get used to. You might find it a bit odd, but we have both 110 and 220 wired in our house. This is somewhat common in Kijabe houses and speaks to the heritage of American missionaries in the region. There is a large step-down converter tied into the circuit breaker box which regulates the 110. It’s more of a convenience given that we have very few items which need 110. Like many African nations, Kenya relies heavily upon cell phones for communication. Land lines do exists but are not really that common in the rural regions. But, everyone can get a cell phone. There is no monthly bill or service charge. You just buy a sim card (100 ksh – about $1), add airtime and go. If you run out of airtime, you can receive calls but not make calls. 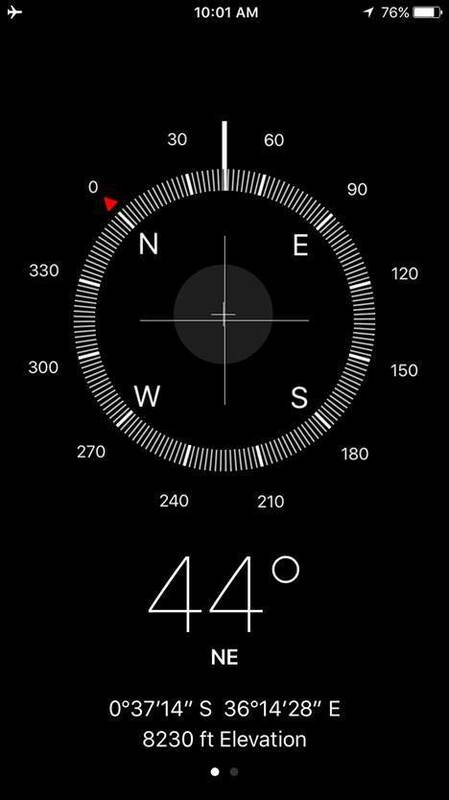 Cell data is also available, with speeds ranging from 2g to 4g depending on location. Of course, there are also many dead spots throughout the country. We have used 3g for our home internet in the past but about a year ago the Moffat campus was wired for wireless internet with Access Kenya. We live so close to the campus that we tap into the signal with a wifi range extender. The speed is a fairly slow 6 megabits per second but functional. You just have to get used to the fact that student use drags down the bandwidth in the evenings and weekends. There is certainly more that we could write but this should give you some insight into our living conditions with regard to “basic” utilities. 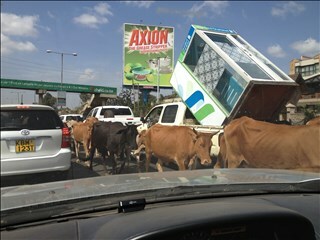 While there are inconveniences, life in Kijabe is not all that bad! We are just over three weeks into our 2018 Home Assignment and are beginning to settle into some routines. We have some travel plans set and other plans still in process. Our desire is to see and talk with as many of our supporters as possible but we also sense a clear direction from God to use this home assignment as a time of rest. 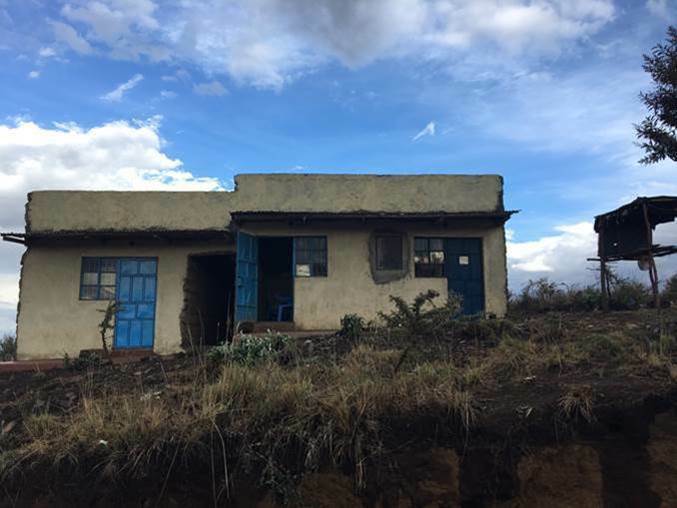 Realizing that we may not have an opportunity to meet with all of our supporters, we have decided to send out numerous blogs over the coming months to highlight ministry and life in Kenya. We pray that these posts will give you insight into the last two years. I (Tim) have many roles at Moffat Bible College and one I enjoy greatly is serving as patron of a student group called Antioch Mission Fellowship (AMF). 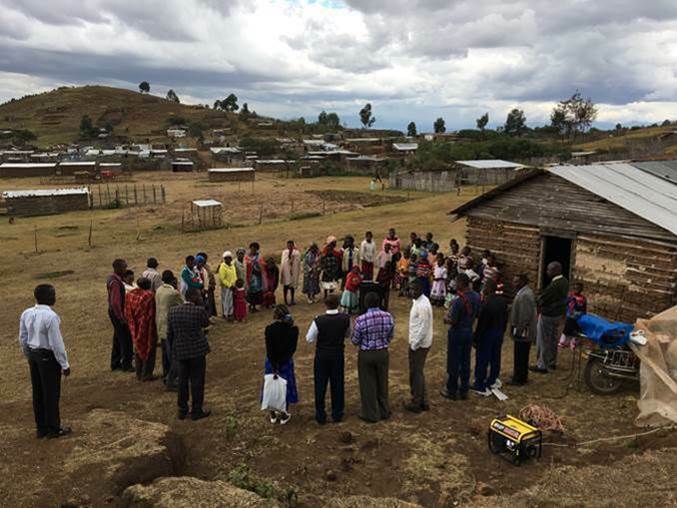 AMF has a clear mandate to reach the unreached and underreached in Kenya – specifically the Maasai, S*m*l*, and Dorobo people groups. AMF meets weekly to fellowship and pray for the lost and also seeks opportunities to go on outreaches. I would like to share about an outreach we took to Songoloi on February 10-12, 2017. The people of Songoloi are considered to be Dorobo. The Dorobo are considered engaged but not reached with about 1% Evangelical Christian. 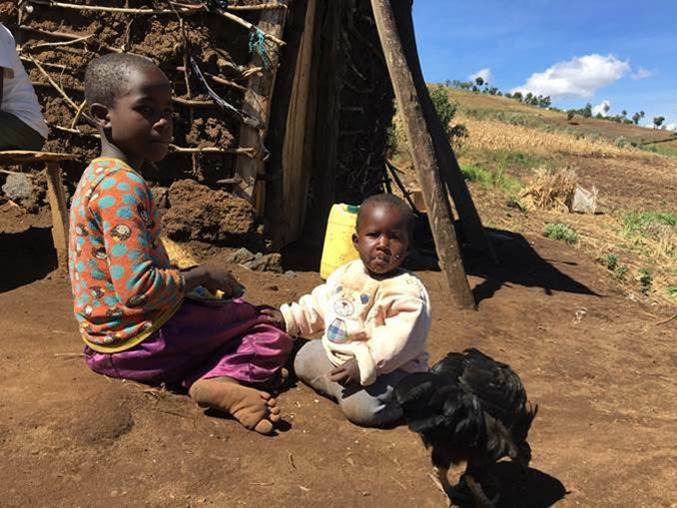 The Dorobo (“those who have no cattle”) are outcasts largely from the Maasai who prize cattle. In this particular community we found not only Maasai but also many Kikuyu who had been displaced for a variety of reasons. 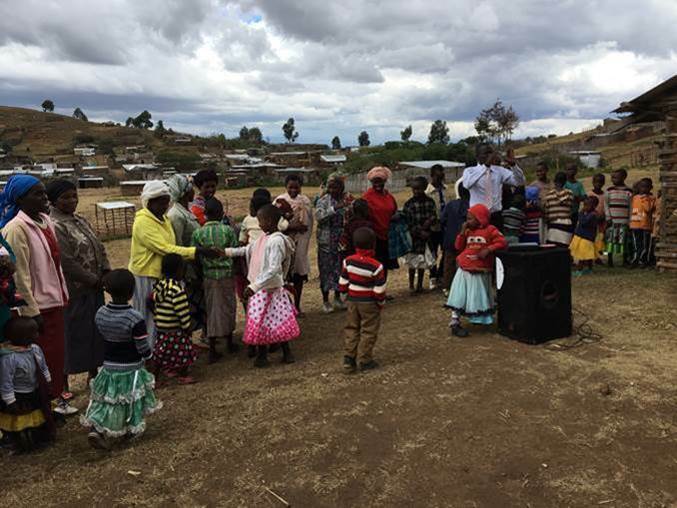 We partnered with a local AIC (Africa Inland Church) pastor so that there would be follow-up once we left. The trip to Songoloi took about 6 hours. Once we left the main highway the road was somewhat rough but passable and the closer we got to Songoloi the more beautiful the scenery. I’ve include many photos in this blog so that you can get a good feel for Songoloi. We arrived in Songoloi early Friday evening and were met at the church by the pastor. 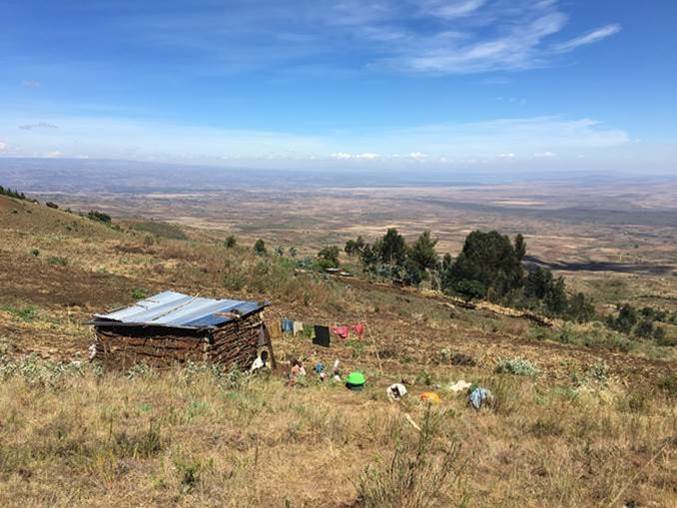 I realized after arriving that the elevation was higher than Kijabe which sits at about 7500 feet. This provided for some fairly chilly nights! This is our team at the church just after we arrived. In the background is the AIC church building. 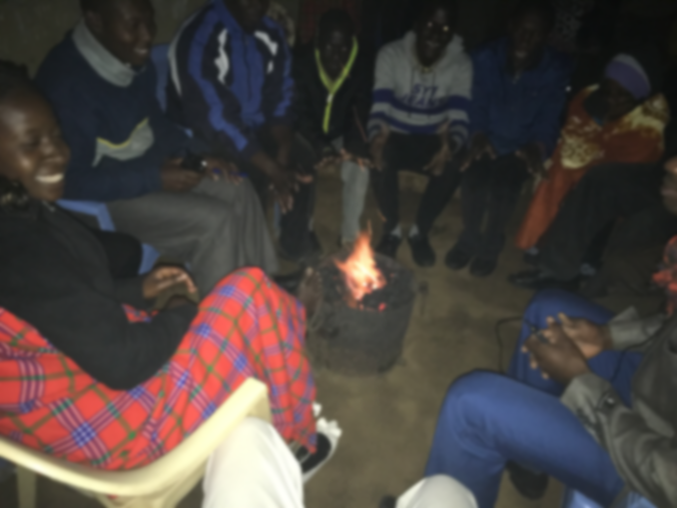 Not a great photo but this is our team in the church building huddling around a fire to warm ourselves the night we arrived. The night we arrived the pastor arranged for an evening meal and led us to the nearby school where we would sleep, shower, take our meals, etc. After breakfast on Saturday morning, we split into groups for door-to-door evangelism. 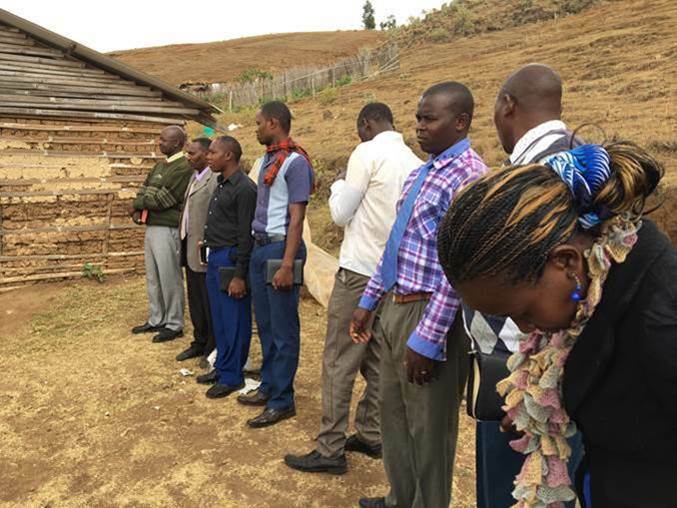 The pastor arranged for a church member to guide each group. We spent time sharing with this gentleman about God and salvation. 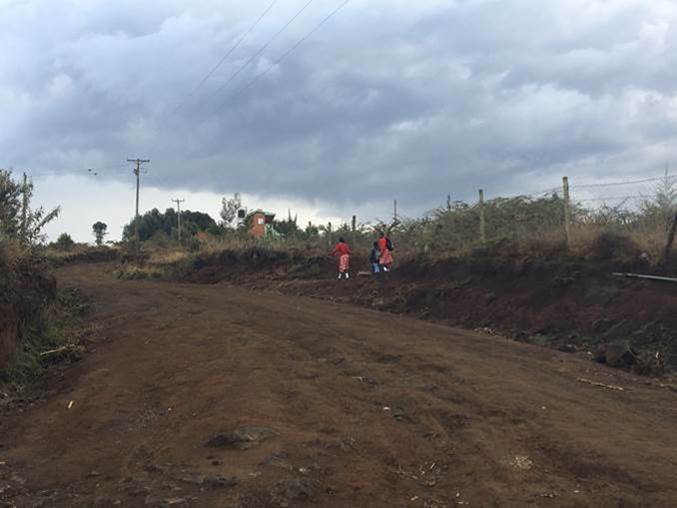 We found that many along our route were Kikuyu and spoke little Swahili. There were three students in my group – John, Colins, and Timothy. 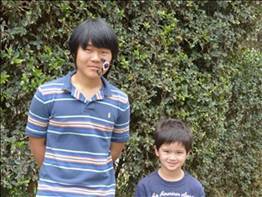 John (pictured above on the left) became our main communicator as he is Kikuyu. Colins (middle) is Luo and Timothy (left) is from South Sudan. 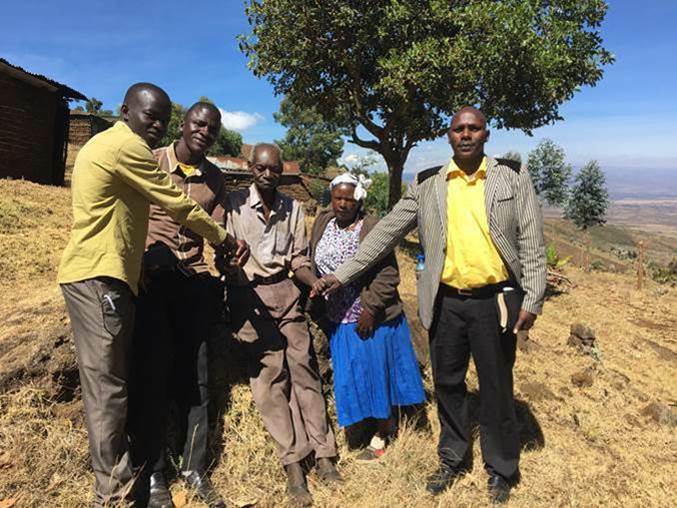 It was good to encourage this mzee (elderly) Christian man as he lives alone and does not get around well anymore. We also helped him cut a tree and build part of a fence. 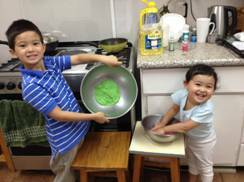 We came across these children who were home alone – their parents were out working. Such an amazing view of God’s creation! This man is also a Kikuyu. His background is Catholic but he allowed us to talk and share about Christ. He had not attended church in a long while and asked us to pray with him to be restored to fellowship with God. All along our path, we connected with people as God allowed. John decided to give a hand with clearing this gentleman’s field. We ran across two ladies working in their field and took time to share and pray. Our guide led us to her home where we met her daughter and grandchild. 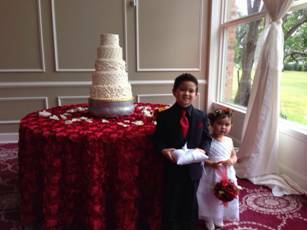 We also shared with her son (pictured below) as he had walked away from church. We encouraged him to commit himself to Christ and the church. He seemed receptive. We later came across this family and shared Christ with them. The father considers himself an SDA (Seventh Day Adventist) but we shared and prayed and they agreed to come down the hill on Sunday morning for church at the AIC Church. On our way “home” we came across a water reclamation device. Actually, the hills are covered with these contraptions. There are steam vents throughout the region and the locals tap these vents to collect water through condensation. Steam comes up from the pipe at the base of the tank and travels up and through the long pipes that extend out of the tank. Before the steam reaches the end, it condenses into water and then flows back into the tank where it is collected. The town of Songoloi . . . 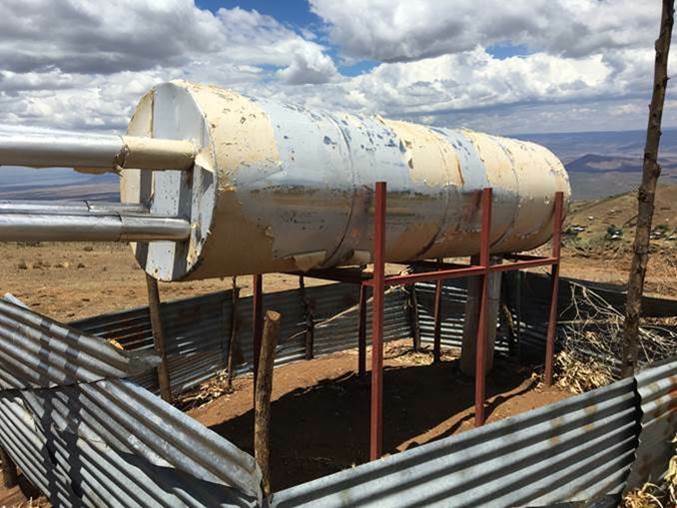 This a water tank that has been constructed to collect water for use in the small town below as well as the school. On Saturday evening we held a crusade in the small town (sorry, no photos – too dark) where we showed the Jesus Film and shared testimonies. 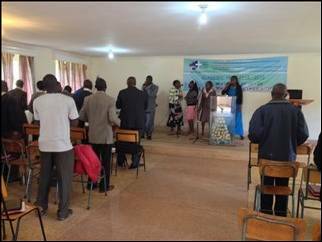 The following morning (Sunday) we held an extended worship service in the AIC Church (above). This is Timothy, the chairman of AMF (2016-2017 academic year), greeting the community and introducing the speaker (Francis – seated in the background). Abigail did a great job leading Sunday School for the kids! After the service we circled up outside the church and prayed for the community. In the end, 17 people gave their lives to Christ and 1 was restored to the church. Praise God! 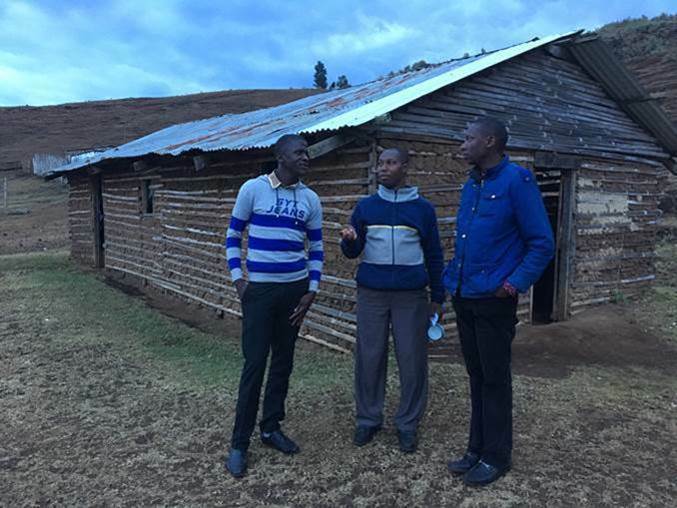 John Kahugu, who is now the vice chairman of AMF, has returned to Songoloi after our outreach to encourage the pastor and will go there in July 2018 for a two-week internship. Please pray for him and for God to continue working in the hearts of the Dorobo of Songoloi. They may be outcasts in their own country, but they are loved by God. We would like to thank all of you who have prayed and supported us in various ways during our Home Assignment. There is truly no way that we could serve without you! 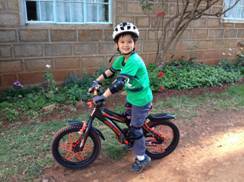 We arrived safely in Kenya late on the 20th and made our way to Kijabe that evening . . . arriving around midnight local time. Needless to say, we were glad to arrive in Kijabe, even at such a late hour. We had organized with a friend to have our house cleaned before our arrival and were grateful to come home to clean sheets on the beds and few cobwebs – the spiders are still here but it was nice not to have the constant reminder. Of course, we’ve been working through the jet lag. There seems to be a gender division. Luke and Tim have been waking up early while Kate and Maureen have been prone to sleeping in. We are starting to see the end of this pattern, but all get a little tired at various points during the day. Hopefully by next week we’ll be back to our normal selves. 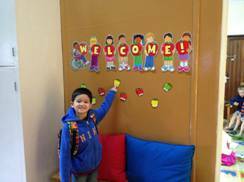 This past Monday Luke began his last term of 1st grade. Kate has been having fun rediscovering toys that she left here. Tim started classes yesterday and has begun organizing the spiritual life events for the term. Maureen has been busy keeping all of us fed and working to organize the house a bit. She will begin back at the hospital this coming week. Luke and Kate have also enjoyed playing at RVA and walking in the rain! We took a drive into Nairobi this past Saturday to restock our pantry and fridge, get supplies, and to let the kids enjoy a nice meal at their favorite restaurant. We were also very thankful for friends who fed us the first three nights. Now we’ve stocked up for the next month or so and probably won’t go back into Nairobi for some time. 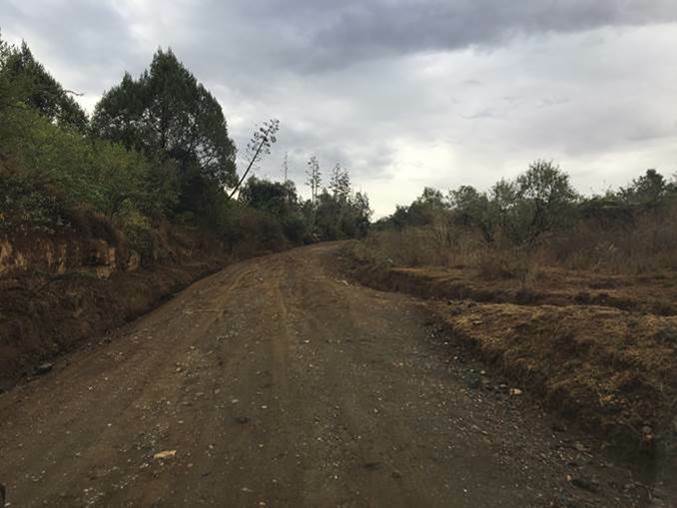 The roads getting out of Kijabe are in terrible condition. 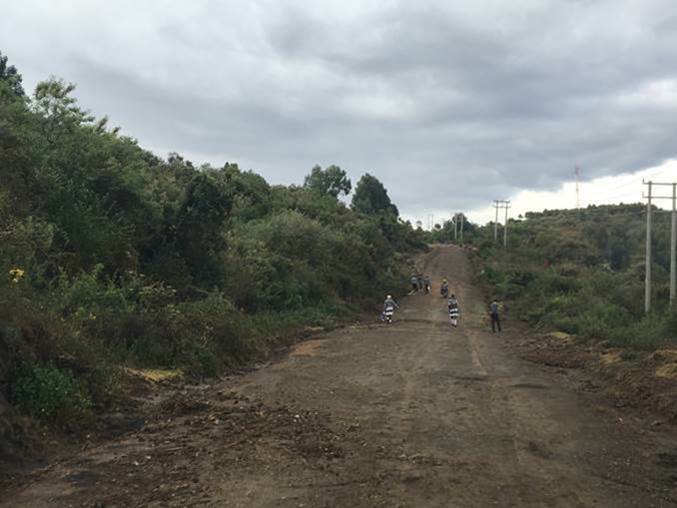 The main road going up the hill is being paved but is mostly a muddy mess due to the long rains that have arrived. We were prayerfully thankful to make it home on Saturday as we slid and swerved down the steep curvy road. Seriously, most two-wheel drive cars had stopped alongside the road but we pushed forward trusting God and prayed that our four-wheel drive would be adequate. If you’ve driven on an icy/snowy road downhill then you know what we experienced. There was more than a sigh of relief when our tires caught traction! There are days that bring both joy and sadness . . . graduation day is one of those days. For the graduates, it marks the end of one season of life and the beginning of another. This day is met with anticipation for the future but also with a bit of trepidation for the uncertainty of the coming transition. For those of us who teach, it is can sometimes feel like just another day in an endless cycle . . . we send out those graduating with the expectation that these graduates will soon be replaced with new students. Yet we all trust that God has guided the past and prepared the future. Allow me a few moments to introduce you to a few of our graduates. Third year students graduate with a diploma – this meets the government requirements – but most of them will return for a fourth year of training. 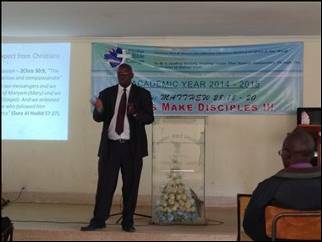 This fourth year prepares students for licensing and ordination in the African Inland Church. 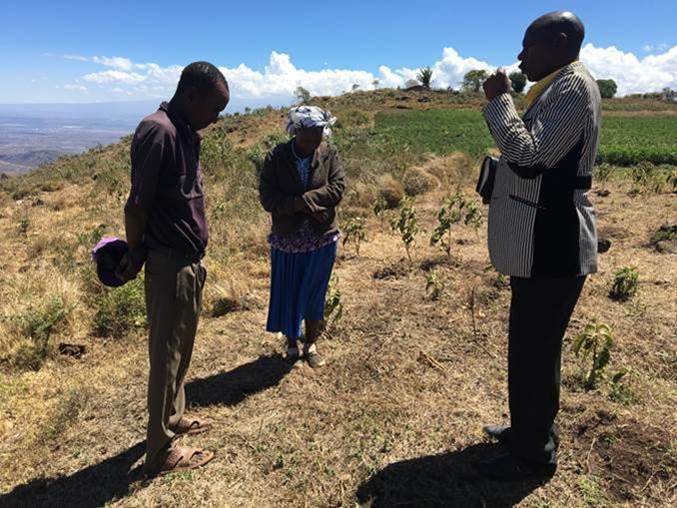 Charles Ochuka is a third year graduate who answered the call to the ministry later in life. He is married and his eldest is just starting university. Charles was the chairman of the Antioch Missions Fellowship this past year so I worked closely with him. 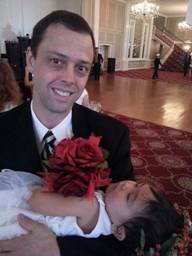 He has a heart for local church ministry and is developing his leadership ability. He has been elected the student body chairman for this coming academic year. Festus Munyao is also a third year graduate. Like Charles, he is a family man who answered the call to ministry later in life. Festus was my student small group leader this past year. He is wise, like a father, and cautious when he speaks. He also has a heart for ministry in the local church. 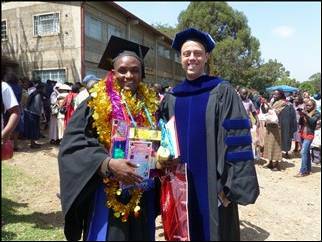 Daniel Kingori is a fourth year graduate. He will be joining a local church ministry but I can see much more in his future. Daniel has a real passion for missions. He has been an active member in Antioch Missions Fellowship. Daniel took my elective Acts course this past term and his heart for the lost was evident as we studied the early church. I’ve also heard him preach and know that he is a man who allows God to use him. He has the heart of an evangelist and the gifts to match. Martin Wanjiku is also one of our fourth year graduates. Martin has served as the chairman of Antioch Missions Fellowship, student chaplain, and this past year as the student body chairman. I had the privilege of spending some time with Martin this past year talking through his plans for the future. His desire is to reach university students and he’s had to create a way to pursue this ministry. Over the past year he worked out an agreement with a church near a university campus to hire him as a part-time pastor after graduation. This will grant him free time during the week to engage in campus ministry. 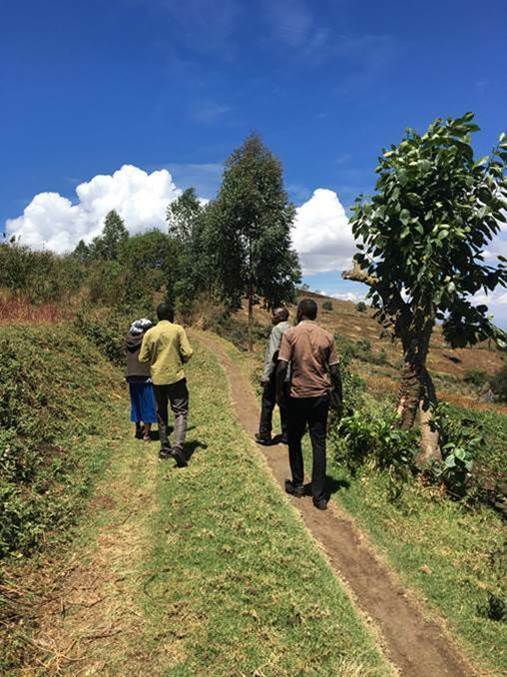 He has partnered with an organization for some additional training but will be raising financial support to balance out his needs and to fund his ministry to university students. 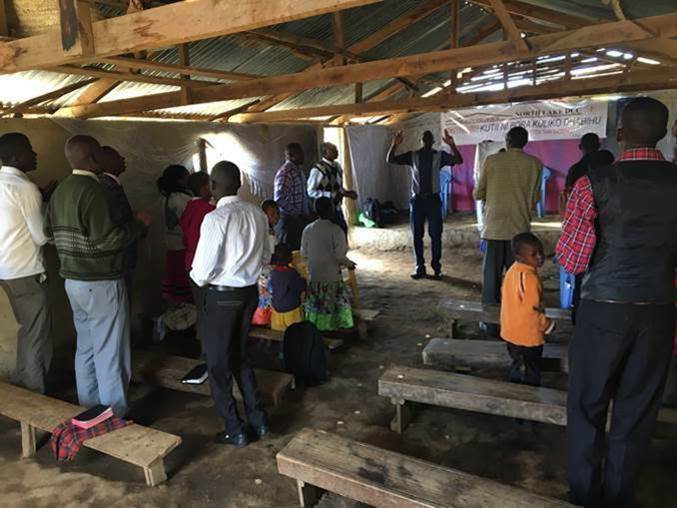 Moffat has been training men and women for ministry for over eighty five years and it is an honor to be a part of what God is doing here in Kenya. Please pray for our graduates as they step out in faith to serve. Pray that they will have all they need and that their desire to reach the lost will not diminish. 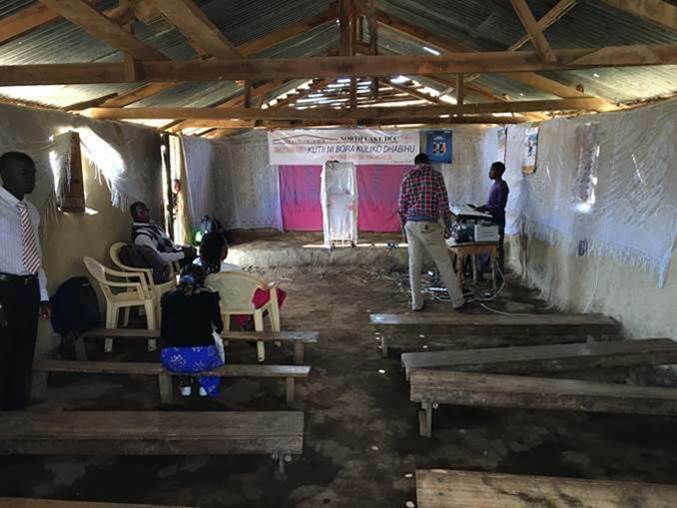 Pray also for the church in Kenya to stand firm in the face of both persecution and apathy. There are still unreached people groups in the north and almost a daily influx of S*m*li people into Kenya. 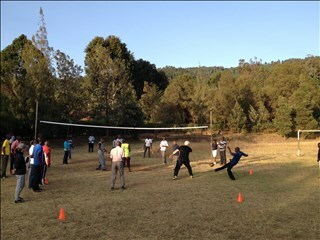 The opportunities are many and my prayer is that the church in Kenya will rise up and push into North Africa. 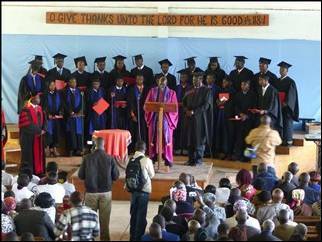 We’re fast approaching graduation here at Moffat Bible College. It’s hard to believe term three is nearly complete. We pray that you are all well and thank you for your continued support. We are doing well. There was a round of sickness that ran through our home several weeks back which took Luke to the hospital for two nights but he is back to his normal self. I (Tim) also had surgery to repair a torn meniscus in my left knee just over a week ago but am recovering. 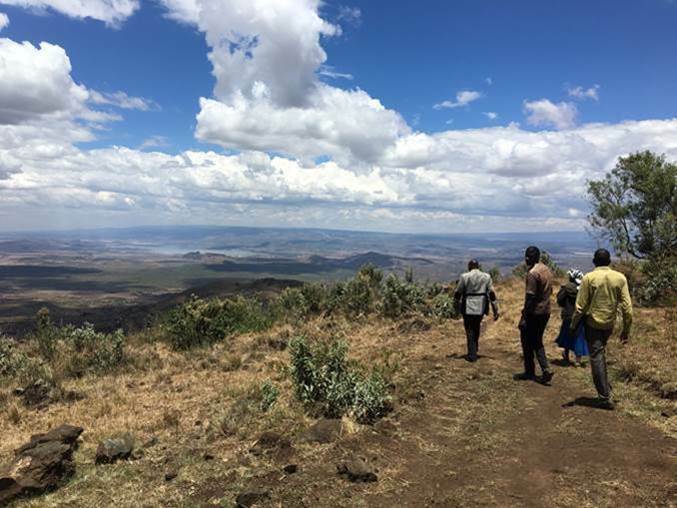 Each day we are reminded in numerous ways how blessed we are to serve our Lord and Savior here in Kijabe, Kenya. 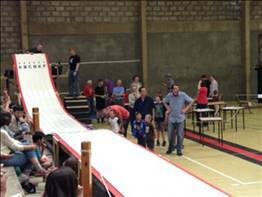 As many of you know, we have a day every term at Moffat set aside for Missions. We invite a speaker to share about their ministry and to encourage our students as they seek opportunities to serve now and look toward the future. This term we were truly blessed to have Mr. Jared Oginga share his ministry among M*sl*ms. 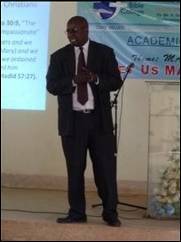 He is a Kenyan who serves as a missionary within SIM. He can best be described as an apologist-evangelist. 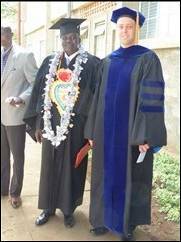 His ministry brings him into direct contact and often debate with M*sl*ms here in Kenya and the surrounding countries. There are numerous misconceptions which M*sl*ms have regarding Christianity that must be explained in the process of sharing the Gospel. He is sometimes faced with ridicule for his beliefs as they are contrary to M*sl*m teachings. Jared shared with us very practical information regarding I*l*m as both a challenge and an opportunity. He spoke about the similarities between the two religions (monotheistic, missional, etc.) and also noted that I*l*m is Christianity’s greatest and oldest competitor. He broke down the theological, cultural, and social barriers so that our students could clearly see that the field is ripe for harvest. In response to fear, ignorance, and deceit . . . Christians should offer love, prayer, and understanding. In the end, we are assured of victory. He told us that M*sl*ms are taught that Christians are people of mercy and compassion. If we are to reach these people with the truth of the Gospel, then we must show them mercy and compassion. If we respond in an unkind manner then an opportunity is lost. He encouraged us that we must earn the right to share the Gospel. We were truly blessed to have the opportunity to learn from someone engaged in this type of ministry. I have received great feedback from students very interested in understanding how to engage this group of people. 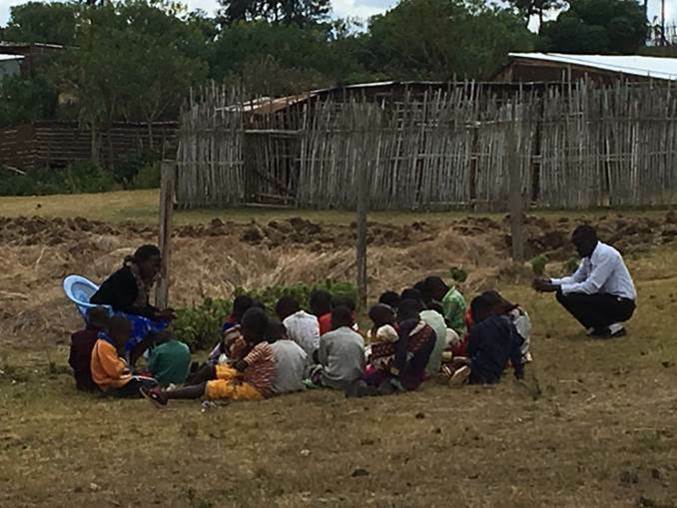 My hope and prayer is that God will call many students from Moffat to engage in outreach to M*sl*ms.
Well, mid-term break is upon us here in Kijabe. That means that Moffat is off until Wednesday and Luke (RVA) until Tuesday. It’s a momentary lapse in the hectic schedule that we seem to keep. It’s also a time to reflect on the past six weeks. So much happens in such a short time that it is difficult to convey via a newsletter or blog posting. But, I’d like to pull together four somewhat random topics in this blog post – Culture, Missions, Car Repairs and Volleyball. 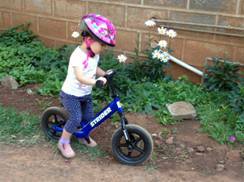 We’ve been in Kenya now for one year and six months. We are still learning the culture and I’ve been reminded recently how different we westerners think. Each term at Moffat Bible College we set aside a day to focus on Missions. We generally invite a guest speaker for chapel who shares about their work – we do our best to have both Kenyans and westerners. This academic term I invited a former member of the Moffat family to speak. Rev. Moses Njenga served as our VP of Academics but decided last year to go back to fulltime church work. 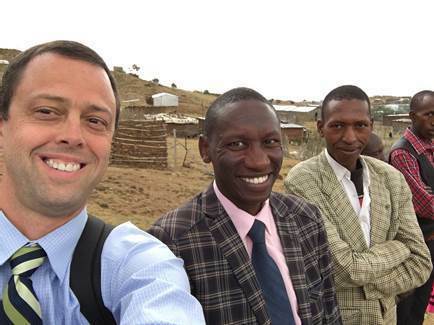 His church is in the middle of a seven year project to reach the Pokot, a semi-nomadic tribe in northwestern Kenya. 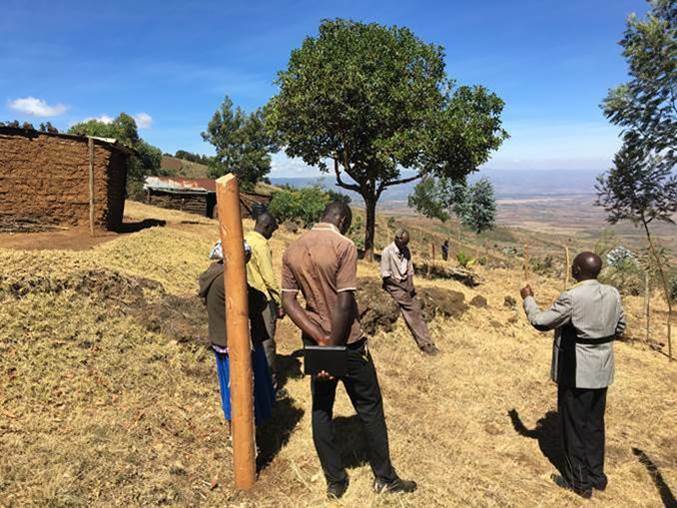 He spoke about the biblical basis for missions – taking the students back to the Old Testament and God’s covenant with Abram and brought them full circle to the work that his church is doing among the Pokot. 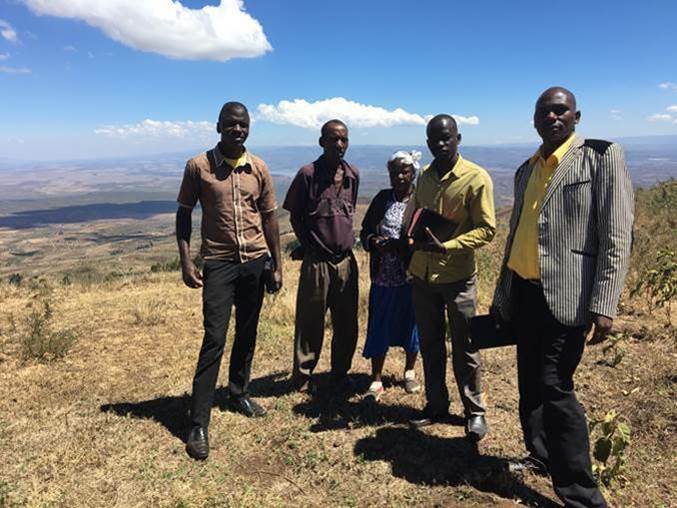 Their end goal is to plant a viable Evangelical movement among the Pokot and empower Christians among the Pokot to reach their own. Please pray with me that God will continue to bless their work. 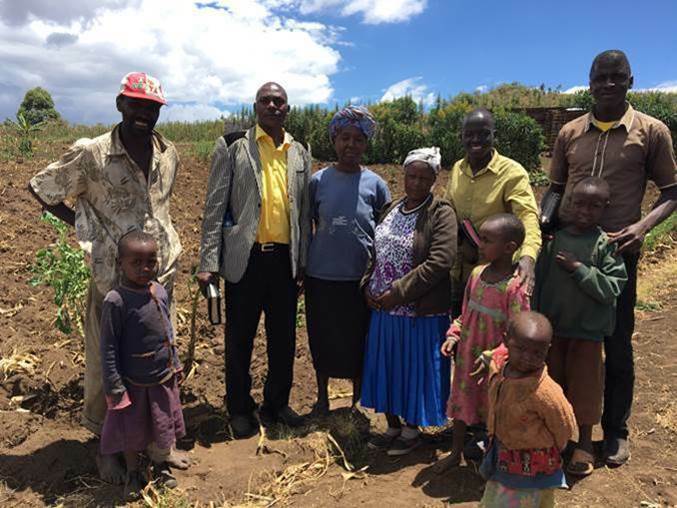 They are ahead of their expected schedule and are already planting the first church. 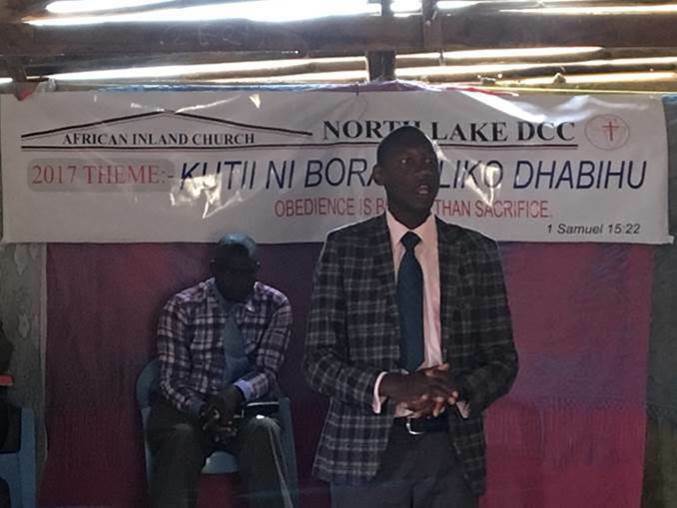 One interesting aspect to Moses’ presentation was that there are cultural barriers to cross – even for a Kenyan ministering in Kenya. 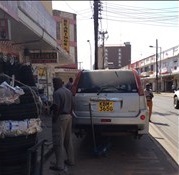 We are still learning Kenyan culture and I recently “endured” the process of having our car repaired. Talk about feeling culturally inadequate! I knew that I would need help, so I asked a Kenyan friend for advice. He connected me with a mechanic in Nairobi who works on Nissans and he and I took several trips into town to work through the process of having the repairs done. 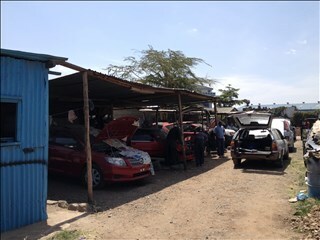 There are traditional mechanic shops in Nairobi (much like what one would find in the US) but that’s not where we went. We spent time among the jua kali (literally – hot sun). This is a reference to people who make their living out in the hot sun. We went to an area of Nairobi which is not often visited by wazungu (westerners/white people). My friend helped me convey the need and eventually the car was repaired. Without his guidance, I would not have been able to find the right jua kali. I needed his cultural knowledge and guidance to reach my objective. 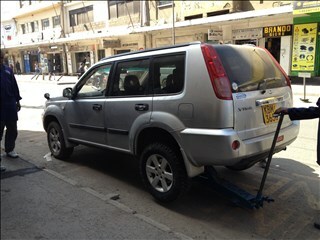 After the repairs had been completed, my friend and I proceeded to another area of town to purchase new tires. He led me to an area near downtown and we stopped in front of a little shop. 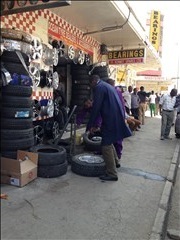 In fact, the entire street was filled with shop after shop – selling tires or other car parts. I learned later that almost all the tire shops I saw were owned by the same person – it was a marketing strategy – if you didn’t like the looks of one shop or the people working there you would just go to the one next door . . . not knowing that you were buying from the same owner. We sat for some time while various selections were acquired for me to review (all coming from the different shops on the street). Eventually the guys working there got a little tired of this mzungu delaying the process and conveyed this to my friend. He politely explained to them that we wazungu don’t think like Africans – we often like to think through things carefully before making a decision. I had no idea I was getting on the nerves of the shop guys – I was just being myself. Thanks to my friend’s knowledge of Kenyan and western cultures, he was able to smooth out the situation. I am cognizant on a daily basis of the cultural differences that separate me from Africans but was reminded by Moses (our Missions Day speaker) that even among Kenyans there are cultural distinctives. 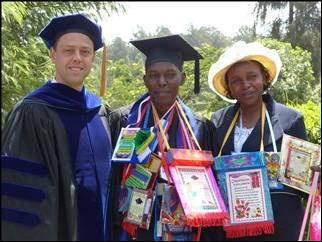 Tribal traditions vary and even a Kenyan missionary serving in Kenya needs to learn and adapt to culture. Moses’ church has had to learn some distinctives of the Pokot so as not to cause tension and at the same time seek open doors to connect the Gospel. 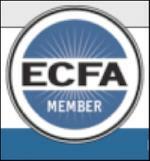 One of my roles at Moffat is serving as the faculty patron (sponsor) for the Antioch Mission Fellowship. 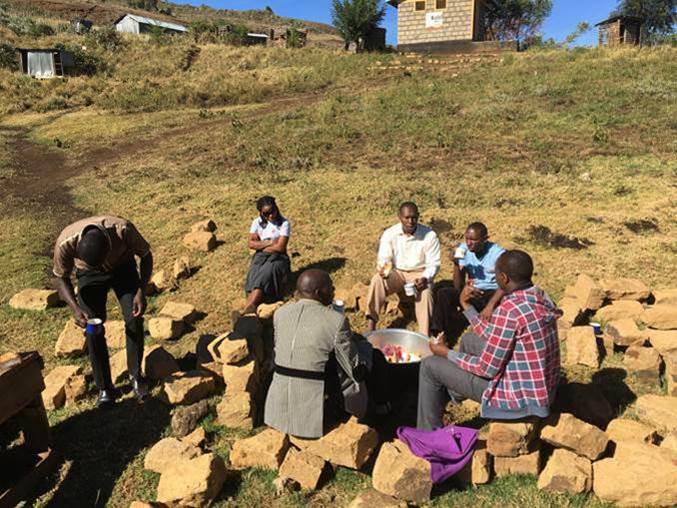 We have students from a variety of tribes and seek to encourage their leadership development so that we can have pastors who lead their churches to be involved in local missions as well as Kenyans who seek to be missionaries in Kenya and beyond. The lesson that Moses gave us in cross-cultural missions was very timely and struck a chord with me as I reflected on my limitations as a missionary. My experience having my car repaired again highlighted my limitations. 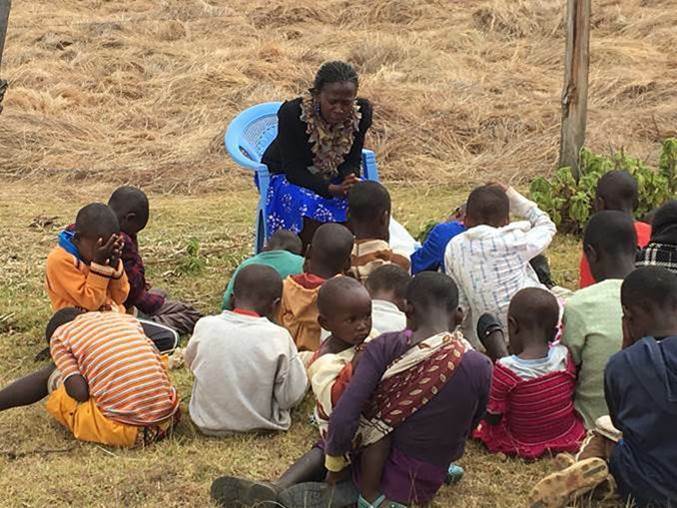 Please pray with me for our Moffat students – they are all gifted by God and it is my heartfelt desire that God will use them to strengthen the church and to spread truth throughout Kenya and beyond. They can only do this if they recognize their limitations and trust God to be their strength and guide. As Christians, we are all called to share the Gospel. We do this through words and actions. We are all missionaries of one sort or another. Cultural barriers often get in the way but God is able to overcome those barriers even when we have no clue what we’re doing. Sometimes he puts the right person in our path to offer wise advice and sometimes we just stumble through while he sands off the rough edges. 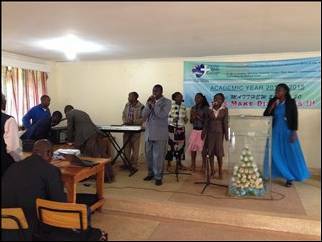 Praise God that He can use us here in Kenya to encourage and empower the church! Yes, he is kicking the ball! This particular shot went wide but on a number of occasions the ball stayed in play after a foot shot. One student playing in the second row center hit a winning head shot – caught the line! What have the McAlhaneys been up to? 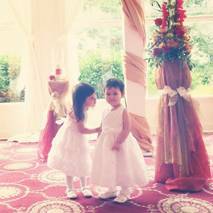 It has been a while since we’ve updated you on our daily happenings – since we returned from the US for Maureen’s brother’s wedding. It has been a very busy but good time. I will try to give you a summary of what our life has been like for the last three months. 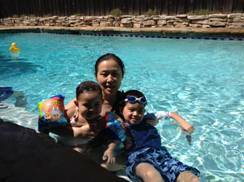 Luke and Kate with Aunt Lorraine, they swam as often as possible! 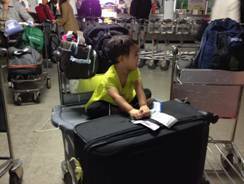 Our trip back to Kenya was smooth sailing except for a missing luggage. Kate climbed up by herself! 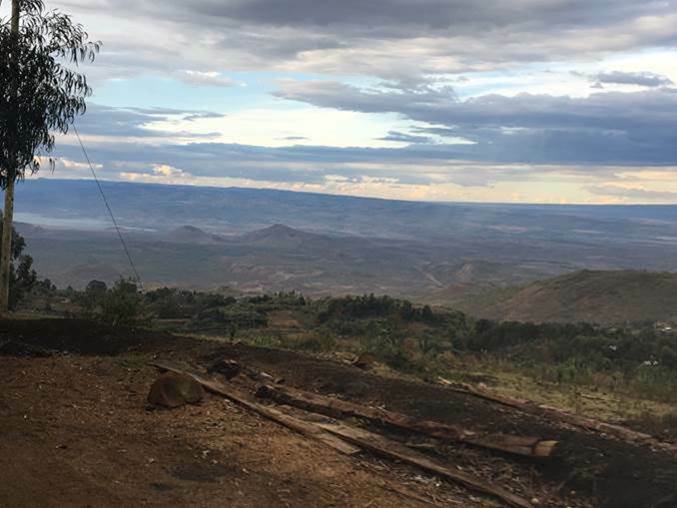 We made our 1 ½ hour drive to Kijabe after arriving around 10pm on a Friday night. It was a cold, drizzling night as we sat in a van with our luggage around us with the windows fogging up. We were tired but glad to be on our way home. 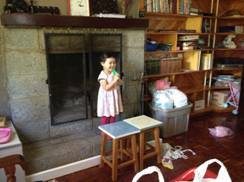 However, remember we had moved before we left and had not unpacked anything, so we arrived at a house half painted and with everything we own in the middle of various rooms either in boxes or in bags. 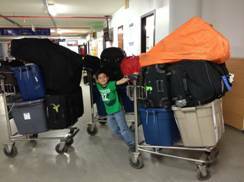 Thankfully, we had two beds set up and had asked our house helper to get it ready before we arrived. It was about 1am when we arrived home. We were so tired that all we had energy for was to change and get in bed. The house still smelled strongly of paint since our painter painted some while we were gone but had not finished. The next morning, we woke up around noon (jetlag) and wandered around the house trying to find a cooking pan, a spatula and something to cook. We managed to fix lunch and did some more unpacking to survive the weekend. Tim and Luke were to start back in school on Monday, so we were trying to get ready for that. We were taking naps in the afternoon and waking up at 2am. This went on for the first two weeks before we finally got over jetlag. We were also having headaches and fatigue that was worse than we expected so we googled “effects of paint fumes.” Then we realized that not only were we battling jet lag, we were also feeling the effects of paint fumes! The painter came back to paint for another week, so we couldn’t really start setting up our new home until he was done. There were people in and out the first week or so, painters, repairmen, electrician, etc. that there was no privacy at all from 8-7pm. Our painter had left something unfinished in every room so it was so frustrating that we couldn’t even start cleaning up, let alone find a place without the smell of paint. So began our time back in Kenya. But by the grace of God, Tim started teaching and Luke started Kindergarten in spite of all that. Titchie Swot is the Elementary school. “Titchie” is a British word for little or brat. “Swot” means study. 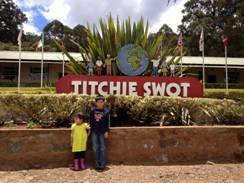 So Titchie Swot is the place where little brats go to study! 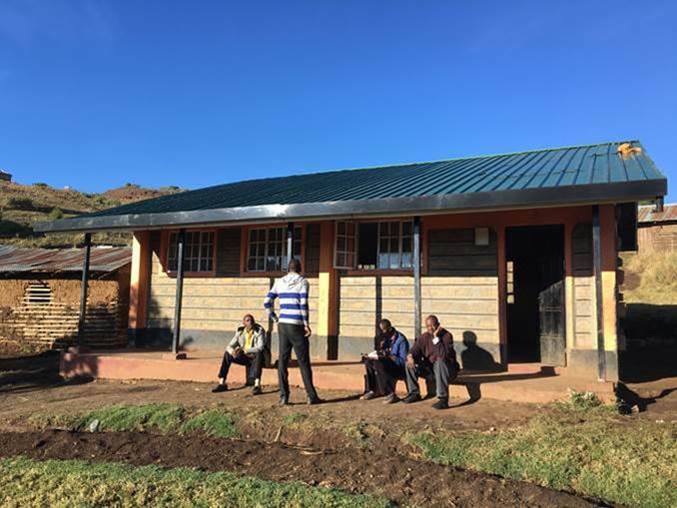 In the last week of September, the Maternal and Newborn Community Health Project of Kijabe Hospital, of which Maureen is a part, was invited by Moffat to speak at their Missions Day conference. Five members of our team spoke to the students, faculty, and staff about how God is allowing us to use community health as a platform for missions. Moffat has started a diploma program in community development this term and community health is an important aspect of it so we were invited. We spoke about how God is a missions-minded God, how he has a plan for bringing the nations to Himself, and that we as believers should join Him in His work. Members of our team shared their own experiences of how God gave them a burden for a certain people group after seeing their oppression and how blinded they were to the truth. We also talked about the training courses available to teach a community worker to do their job effectively. 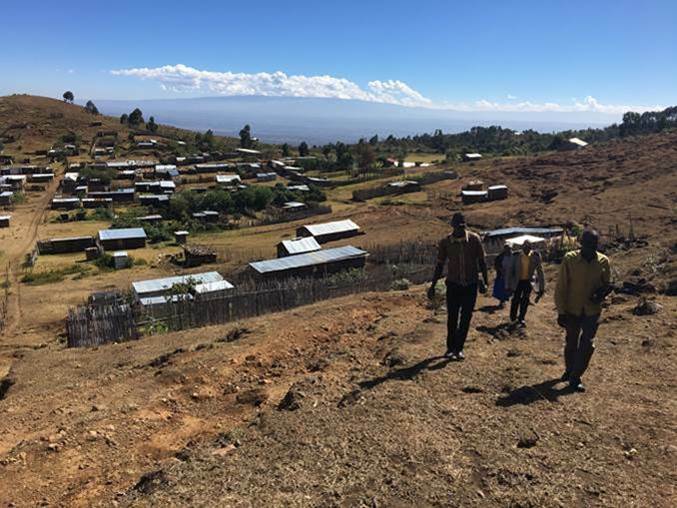 It was an encouragement and an eye opener to the students, but it was also a good exercise for the Community Health team since they don’t usually think of themselves as missionaries. 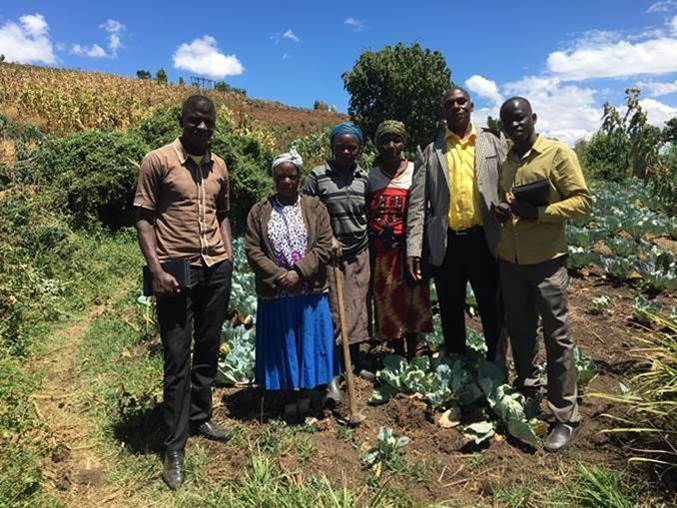 This encouraged them and it made them realized that they are actually working to expand God’s kingdom even as they try to improve health in the communities. 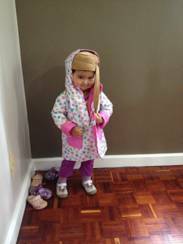 This little girl loves to dress up…in anything! Luke finally biking on two wheels! 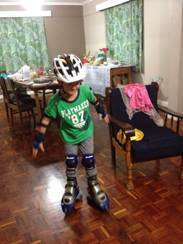 Luke trying out his skates for Titchie Skating Party…first time on skates! Luke also was paired up with a Big Brother at RVA and they have had several “Coke dates” together on a school night either watching a movie, playing some games, or kicking a soccer ball. 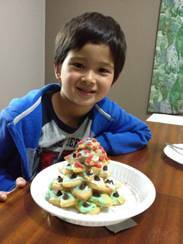 His Big Brother is a 9th grade Korean boy named David. It’s funny how they are both quiet and reserved but they love to have fun together. 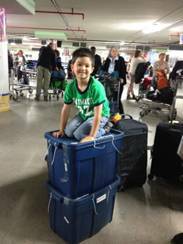 We are also secondary guardians to another missionary’s child who attends RVA and we had the privilege of meeting him and getting to know him better during the last few months. 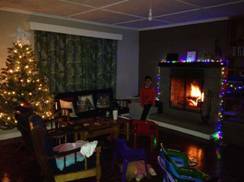 By November, we were pretty much settled in, and had started thinking about Thanksgiving and Christmas. Here in Kenya people don’t have the luxury of spending money on Christmas trees and lights, but they do celebrate it by taking their annual leaves. The country pretty much shuts down in December as most people take leave and go visit parents and grandparents and travel long distances. Prices of fuel and food also go up as the demand increases. Most missionaries make their home as Christmassy as possible putting up a tree and lights. It’s also a time to invite friends over to celebrate and fellowship together. 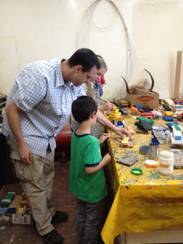 We still get homesick, but there are activities for the kids and it is really what you want to make out of it. 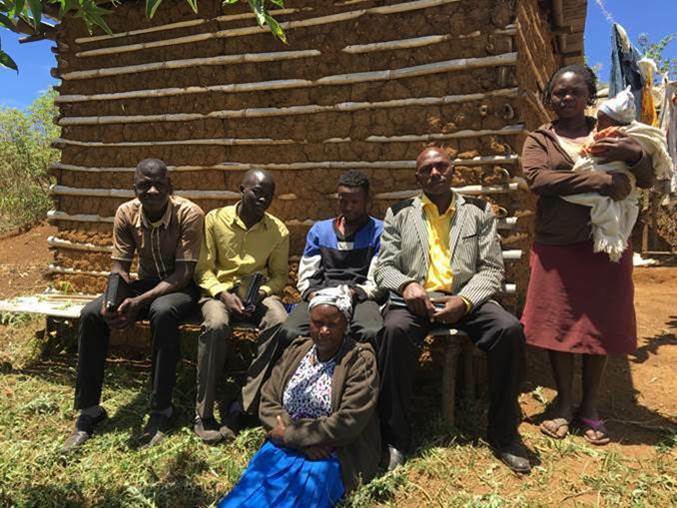 In Kijabe, the lower station families have organized a rotation Advent activity, where families sign up for a day in December to open their home to other families to do a Christmas activity, whether it be singing carols, craft making, decorating cookies, or enjoying Christmas goodies. This is the second year they are doing this, and we hope to participate more this year. Last year we were busy packing and unpacking and had just moved to another house. 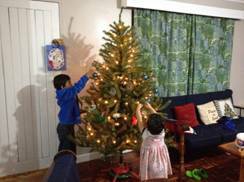 Most Christmas trees were up in homes even before Thanksgiving, us included, due to pleas from Luke and Kate. Tim said his birthday (Thanksgiving Day) should come first before Christmas, but he lost this round 🙂 . We were able to get a full sized tree from a missionary leaving the field, so our kids are happy. 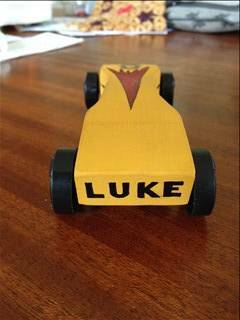 The weekend before Thanksgiving, there is an annual event at RVA that brings kids, old and young together – Pinewood Derby! A month before race day, you can register to race a car you will build in the next month alongside you classmates. There is a woodworking shop at RVA that all high school students, yes, all, use as part of their class work. 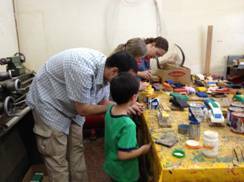 The students graduate from RVA knowing the basics of woodworking and sewing, whether you are male or female. Isn’t that neat? Well, everyone is welcome to work on their cars at the woodshop during the afternoon after school hours. There were strict rules and guidelines for the car and there are awards given in different categories. You are given a specific size of wood block, axles, and wheels and you design, cut, sand, paint, decorate, add weights and then turn in your car the day before the race. RVA has a track that is setup the day before the race and to qualify, your car has to be able to reach the finish line. Tim and Luke entered as a team in the adult men’s category. Students third grade and younger can’t enter the race by themselves, so they usually pair up with a parent. Tim and Luke started looking at designs online and finally settled on a sleek, thin car. It was Tim’s first time building a car so he had to learn how to use different equipments in the woodshop. It was a learning and interesting experience, especially when the car was dropped three days before the cars are to be turned in. The axle cracked right where the wheels were supposed to be attached. They were able to repair the car and still enter the race. They didn’t win but made it to the semi-finals! 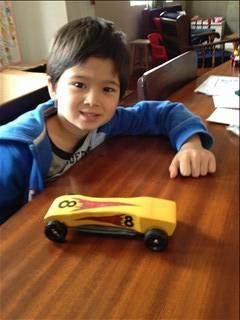 Luke with his first Pinewood Derby car! November came to a close with a wonderful Thanksgiving meal with friends. We ate, talked, and celebrated our Lord and Savior. We will miss being with family for Christmas but are so very thankful for the many blessings God has given us here in Kijabe! We hope you enjoyed the long update and wish we could talk to you about it face to face. There are still a lot of things we could share, and we will try to do that in the next month. We hope you are all enjoying the preparation to celebrate the birth of the King we serve. You are in our thoughts and prayers and know that we are so thankful for having you as part of our lives. Your prayers and support is what makes all that we do possible in Kenya. May God continue to bless you as you invest in our lives and ministry. Keep in touch! 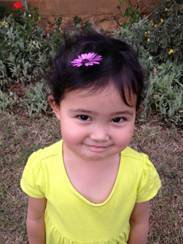 We would love to get a letter, anything in the mail, from friends and family back home! Happy Thanksgiving from the McAlhaneys! It is hard to believe Thanksgiving is already here! We’re just now coming up for air – the last three months have been busy but good. We promise to send out a blog or two in the next month to get you up-to-date. Today we will celebrate American Thanksgiving with a group of friends – Americans and Kenyans. We have an early dinner planned since most schedules here in Kijabe follow a normal day. Luke has school (kindergarten) until noon. Thankfully, Maureen and I both have Thursday scheduled as our off / work at home day. Maureen is making mashed potatoes and I’m making my grandfather’s “famous” macaroni pie. We plan to spend the day remembering all that God has given us – the obvious blessings and the blessings that seem to come with struggles and hardships. 2 Corinthians 3:18 – And we all, who with unveiled faces contemplate the Lord’s glory, are being transformed into his image with ever-increasing glory, which comes from the Lord, who is the Spirit (NIV). James 1:2-3,12 – 2 Consider it pure joy, my brothers and sisters, whenever you face trials of many kinds, 3 because you know that the testing of your faith produces perseverance. 4 Let perseverance finish its work so that you may be mature and complete, not lacking anything . . . . 12 Blessed is the one who perseveres under trial because, having stood the test, that person will receive the crown of life that the Lord has promised to those who love him (NIV). We hope and pray that you take the time today to thank God for all that He has done and is doing in your lives. Also, enjoy your time today wherever you are. We will miss spending time with family and the atmosphere of the season but are thankful for all that God has provided for us here. Please Keep Praying and Texas Bound! We know Africa has been in the news recently regarding the Ebola outbreak. Thank you for those who have prayed for this crisis and please continue to do so. SIM ELWA hospital in Liberia is at the center of the news as well as two of our missionaries contracting the virus. Please continue to pray for the leadership involved in the decision making for the hospital, the patients in the hospital, the people in Liberia and other countries in West Africa. The families of the two missionaries need our prayers as well as they go through this difficult time. Pray specifically that healing will occur and that this catastrophe will end. We know we live in a fallen world and that sickness is a reality but as believers we know that God is able to intervene. Pray that He will be glorified as events continue to unfold. As for our most recent news, we’re heading to Texas on August 14th for a three-week trip to attend the wedding of Maureen’s brother. 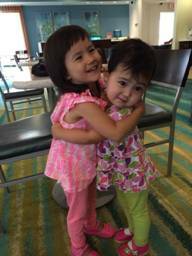 We are so grateful to family members who have provided for our plane tickets and look forward to enjoying some time with family and friends. We know we will not be able to see and visit everyone during this short trip, so please understand if we don’t get to see you! Built into the trip will be appointments with doctors and dentists as well. This will be our third move since arriving last August and we are looking forward to getting settled (again). We hope to be in our house by this coming weekend . . . just in time to pack up and head to Texas. We will leave Arlington, TX on Sept. 4 and arrive late Sept. 5 in Nairobi and travel back to Kijabe. We will be jumping right into school as Tim starts teaching and Luke starts Kindergarten two days after we arrive. We will also be settling into our new home. As you know, God had opened the door for us to stay another year in Kijabe. If God keeps the door open, we plan on staying as long as He allows. For us to stay another year or longer, we will need to bring our support to 100%. Currently we are at 80% support. Translated into plain words . . . we will need to raise another $1000 per month in support to bridge the gap. 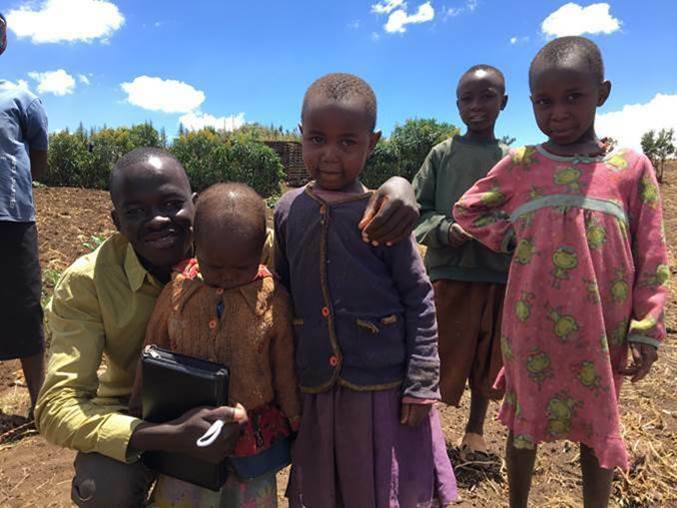 When we came to Kenya last year we knew we were lacking, but had sufficient funds to cover the monthly shortfall. With the additional year and plans to remain here long term, we are praying for additional supporters to pray for us and allow God to use them by investing in His kingdom. 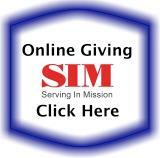 If God lays it on your heart, please consider joining us on this journey by investing in a monthly gift or a one-time gift. Click on the “send Support Gift” below or click here. We have also come to realize the need for a vehicle to make us more efficient and productive. 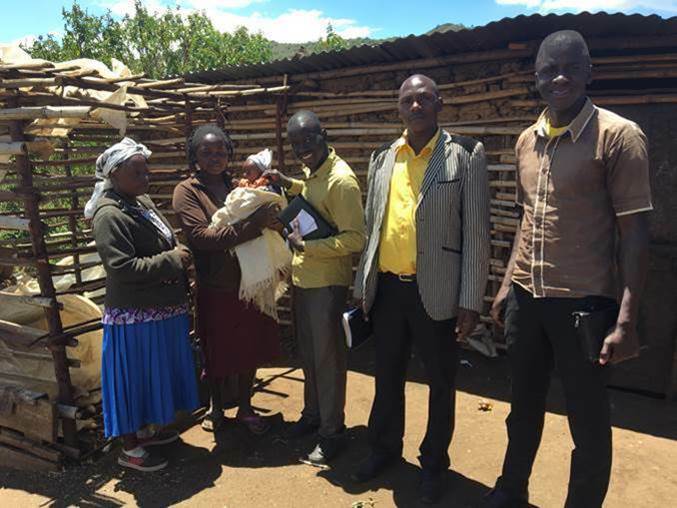 Maureen’s ministry with the Maternal & Newborn Community Health Project requires her to make trips into surrounding communities and Tim’s new role as Spiritual Life Director at Moffat will require some travel as well . . . not to mention having the freedom to drive into Nairobi to pick up supplies when needed. We currently have to pay at least $80 to make a day trip to Nairobi to get supplies, and we do so twice a month on average. 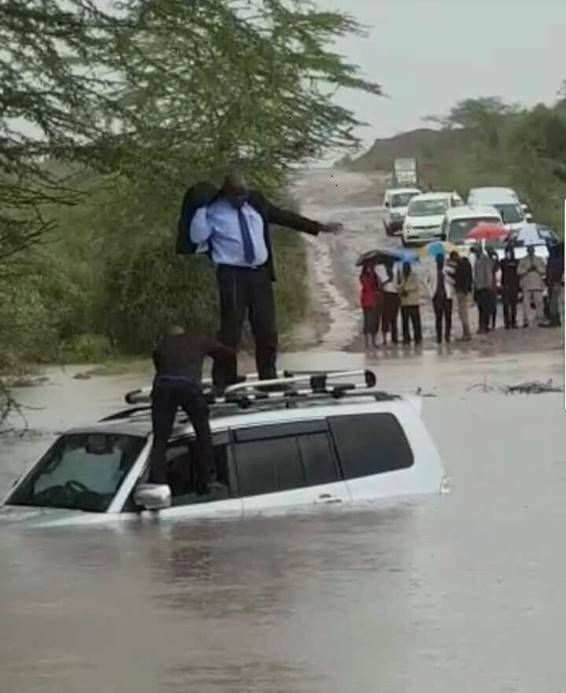 With the rocky and potholey roads here in Kenya, we also realized that the two requirements of a vehicle we need are: 1) high ground clearance, and 2) four wheel drive. Now, to be quite frank, cars are expensive in Kenya – a ten year old Toyota Land Cruiser would cost between $35,000 and $40,000. Oddly, Toyota is the brand of choice and probably has around 90% of the market. This means that other brands often have better deals. We have prayed about what type and size of vehicle God would want us to own and have decided that a midsized 4×4 vehicle that fits our family is adequate. So we started looking for one, especially as missionaries were leaving at the end of their terms, and found one that fits our needs! It is a 2004 silver gray Nissan X-Trail for $11,000. 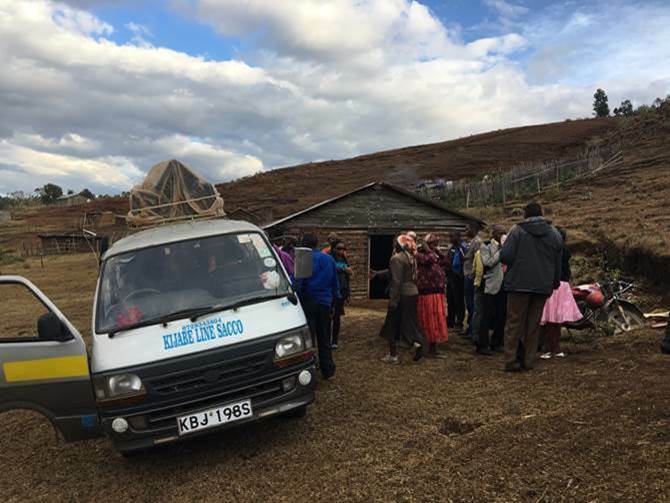 This vehicle has been passed through 2 missionary families in Kijabe and we are excited that God had provided it at just the perfect time. If you feel led to help us purchase this vehicle, please specify “For Ministry Vehicle” in the comment/note field when you give your gift online or in the memo line on the check. 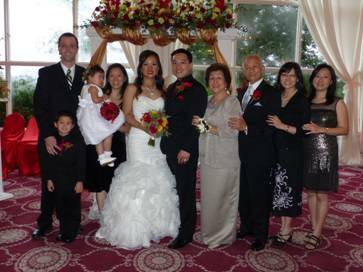 We are looking forward to moving to our own home soon with our own appliances, furniture, beds, oven/stove, etc., and to be with family during Maureen’s brother’s wedding. We hope to connect with as many of you as possible during our short time in the US. May God bless you for your faithfulness in lifting our family up in prayers and for showing God’s love by providing for our needs. Please continue to keep in touch with our family because we love to hear from you. It is always an encouragement to us. We may not always express it, but we treasure every time you connect with us whether it is through a phone call, email, text, or on Facebook. Please send us any prayer requests you have for your family. Living in Africa has proven to be an interesting and wonderful experience. 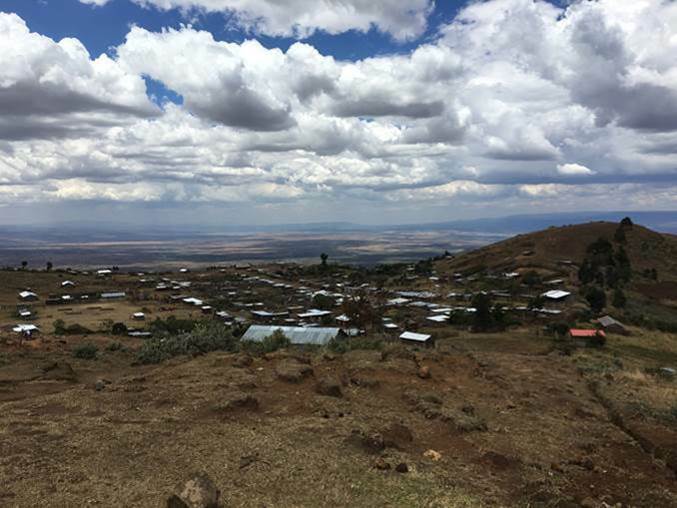 We’ve now been in Kijabe, Kenya for about 11 months and are thankful that God has allowed us to serve Him here. As many of you are aware, we’ve committed to another year here and are open to staying long term if that’s God’s will. 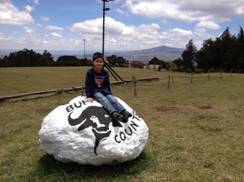 There are numerous stories I could convey that would give you a flavor of our life here but on a recent trip to Nakuru something happened that I would never have expected. 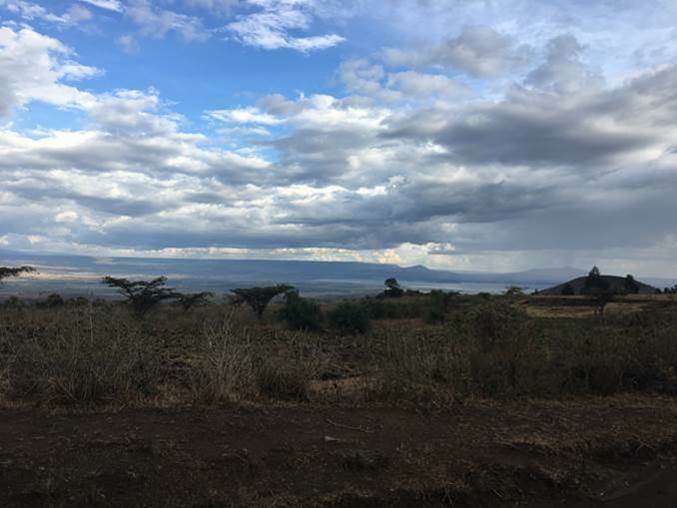 Friends had loaned us their car while on home assignment, so we took Maureen’s parents and sister on a drive to see the Kenyan countryside and to visit a national park with the hope of seeing a rhino and other animals. The trip went more or less as expected (still getting used to driving on the left side of the road, though) and we arrived at the park safely, picked up a guide, paid our entrance fees and started our drive through the park. We saw a rhino within a few minutes and all was well. Our guide soon directed us to baboon cliff to stop and get a good look at the valley. The guide did mention that the baboons there were aggressive. I thought to myself, we have baboons in Kijabe and they are aggressive . . . so no problem. Little did I know that these baboons were “aggressive.” We pulled into our parking spot, I opened my door, and looked to the left (remember the driver’s seat is on the front right), and then back to the right. I was stunned to see an 80-90 pound baboon heading in my direction. Before I could react, the baboon had hopped into the car and had his right hand (paw?) on the steering wheel. As we stared as each, I’m told that I let out a shocked “ahhhh” – like a frightened girl. I don’t recall making a sound, though. I do recall contemplating how to respond and wondered if he spoke Swahili or English. I also recall thinking – “I’m trapped behind the steering wheel and can’t really move.” As Maureen’s mom attempted to shoo the baboon away with her scarf, I made an executive decision and backhanded the baboon in the chest. Now, to be honest, I don’t think the force of my blow caused him to move but perhaps the shock of a human hitting him had some impact. Also, the fact that our guide was then approaching him with a large stick no doubt caused him to jump out of the car. Needless to say, I was very relieved my encounter with the baboon ended well. Our trip from this point forward was relatively uneventful. 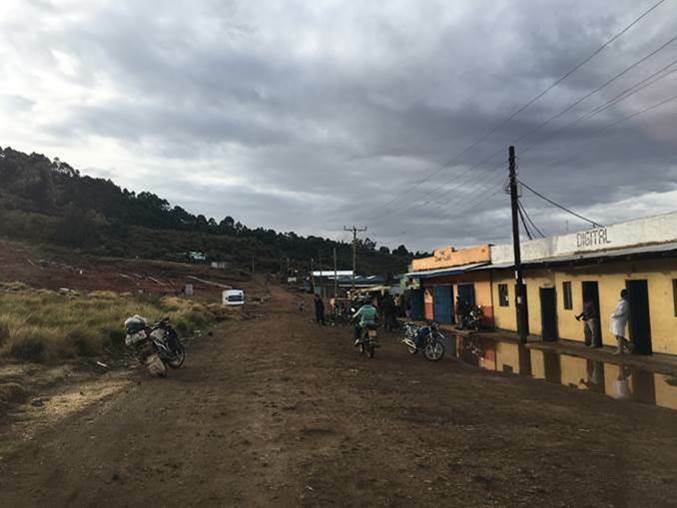 The car overheated, we were towed/dragged/pulled 20 kilometers (eating dust the entire way), and were met by a friend’s father (pastor in the area) who brought a mechanic to the park gate who change the water pump on the spot for about $75 parts and labor. We were literally stuck in the middle of the national park with sketchy cell phone reception but God answered our prayers and made a way out. While many things happen here that are very out of the ordinary (like the baboon jumping in our car), some are quite ordinary. Graduation at Moffat was very much like that of any college in the states. Graduates were both excited and nervous and family and friends in attendance were beaming with pride. 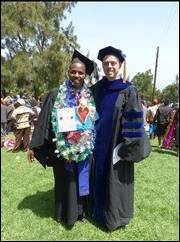 We also had the expected speeches filled with congratulatory comments, some singing (with a Kenyan flair), and the handing out of diplomas. My advice to the graduates during the last week of class was simple – enjoy the day and don’t trip! I think they followed it pretty well. I should point out that while our graduation was “ordinary,” our graduates are extraordinary. They come from all walks of life. Some are married and some single. Some have large families and others grew up in an orphanage. 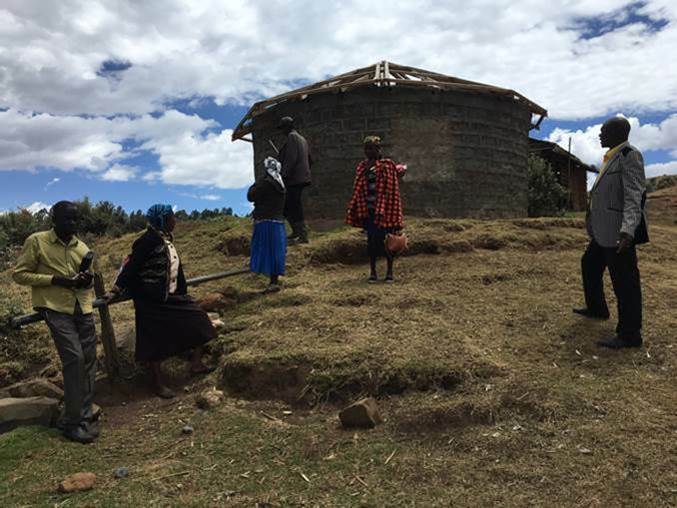 Some have a desire to serve in the local church and others to reach unreached people groups in northern Kenya. Please pray for our graduates as they pursue ministry in the local church and beyond. Over the past term, I was able to hear many of them preach in chapel and was really impressed with their ability to exposit the word of God. I also taught many of them the book of Acts during the prior term. As they come to mind, pray specifically for our fourth year graduates: John, Isaac, Kezziah, Dickson, Festus, Carolyne, Jonathan, Peter, Alex, Jackson, Benson, and David.